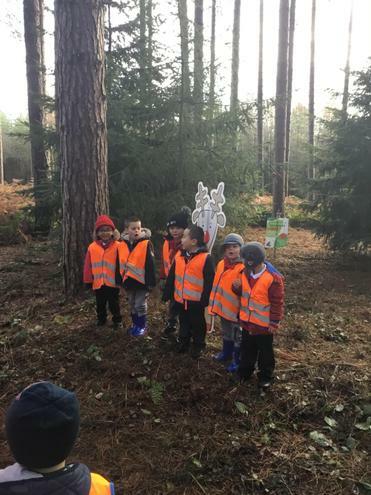 Today we have had an Easter hunt. 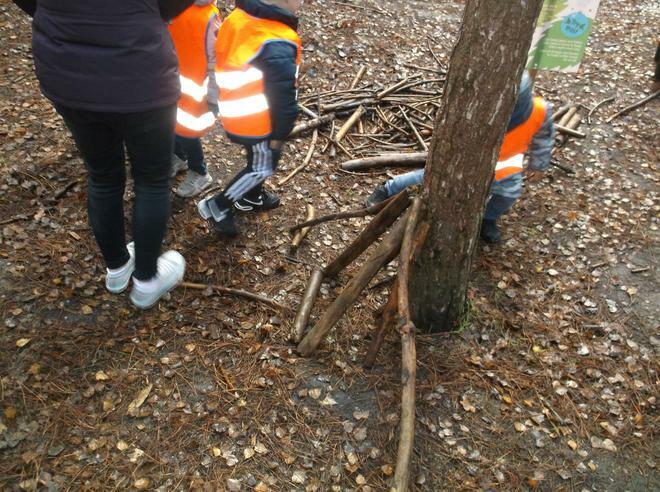 We worked in teams to find the eggs and to get the treasure at the end. 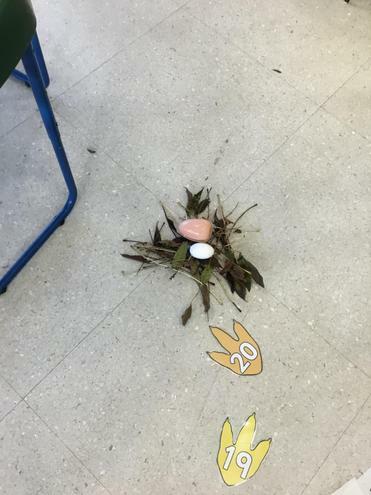 We had to use out reading skills to work out where the next egg was. 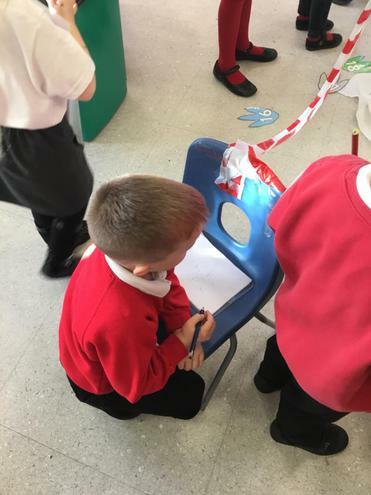 We then used our fantastic writing skills to make our own clues. 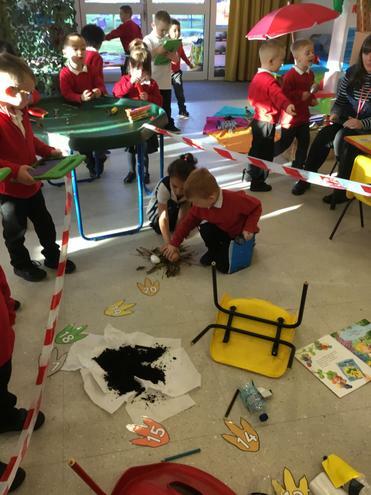 Today we had a lovely visit from the RSPB. 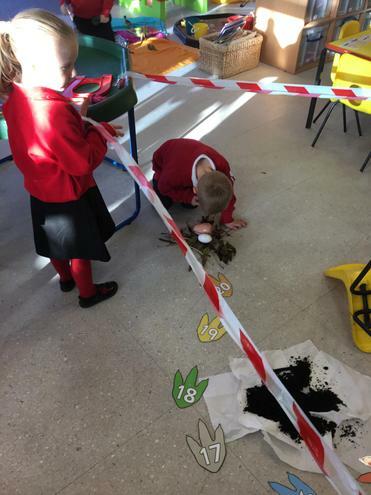 They helped us find mini-beasts in our outside area. 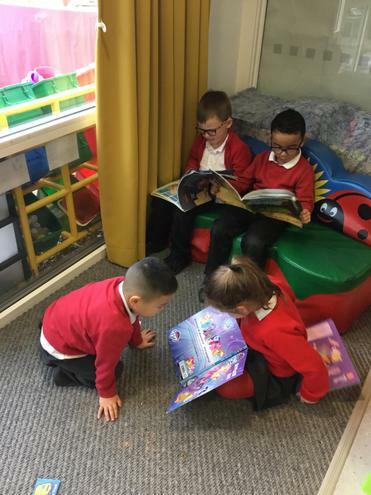 We bought them inside to have a closed look. 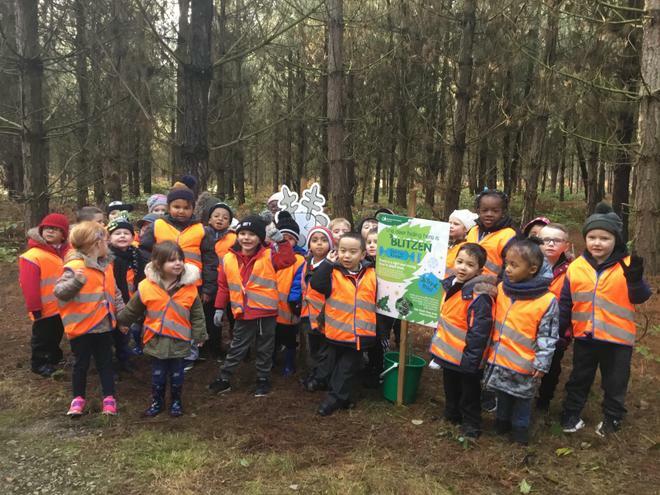 Thank - you RSPB! 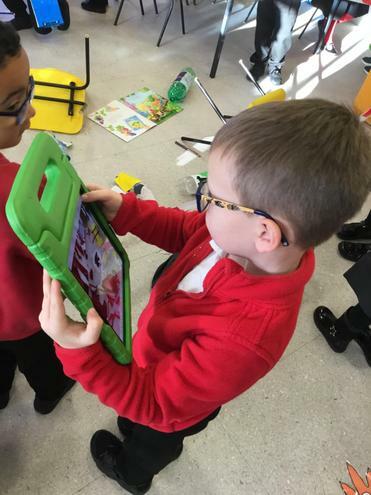 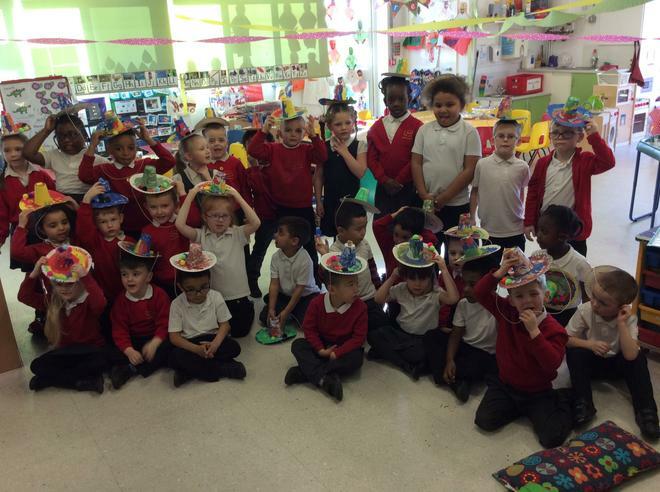 F2 have been finding out all the ways of making 10. 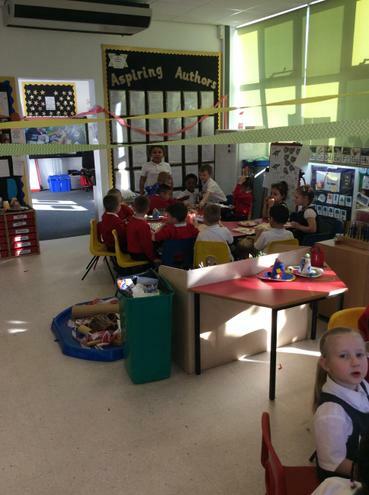 We had 10 counting kids or dominos and we rolled the ball to knock them down. 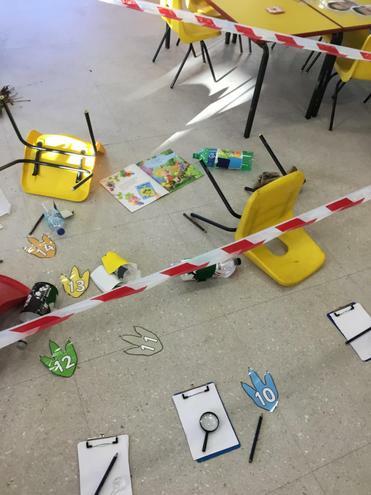 We know that however many were knocked down + how many were still standing always equaled 10. 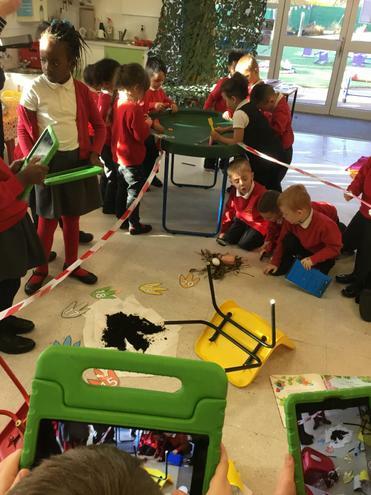 We wrote number sentences to show the this. 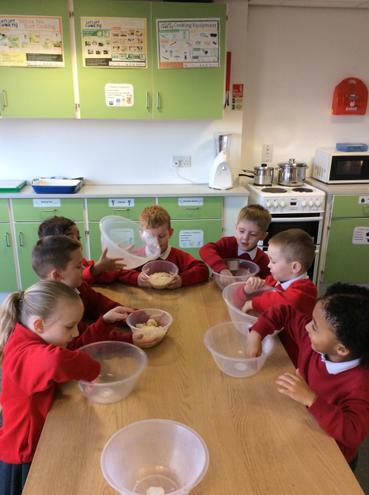 In maths we are working on addition. 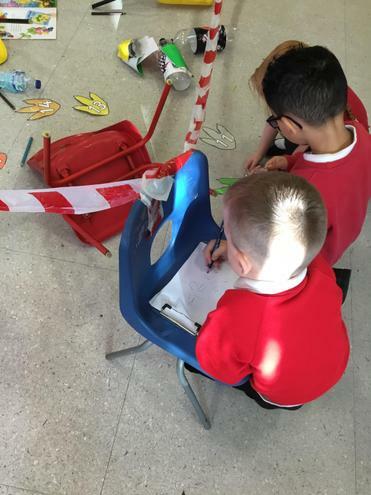 Today we carried out an investigation to find out the different ways of making 8. 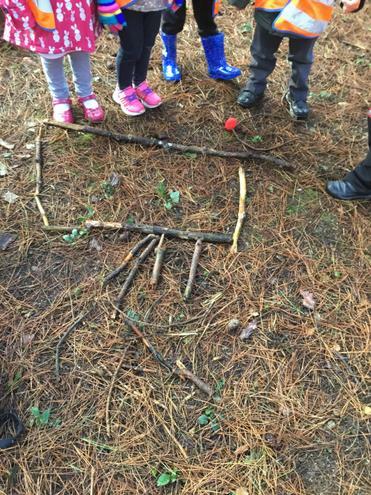 We used part part whole models and counters to represent people. 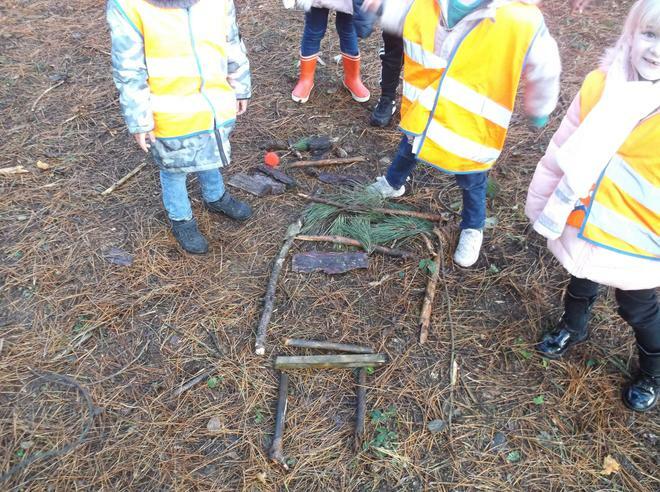 We moved the people to either the beach or the park and then we could see the different ways of making 8. 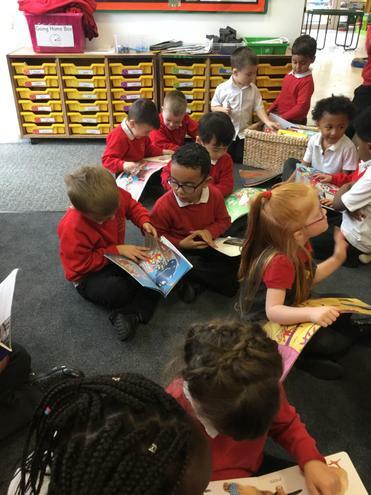 F2 have had a fantastic half term, with lots of our learning linked to our class reader, Supertato. 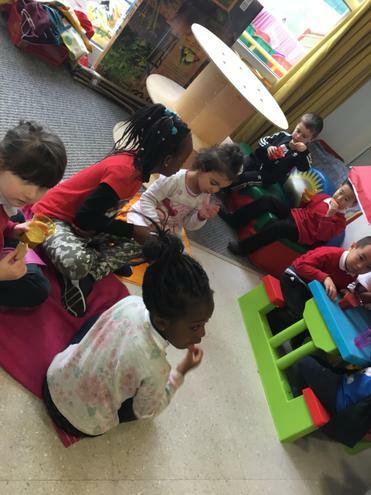 F2 have learnt lots of new vocabulary, such as grin, gasp and distress. 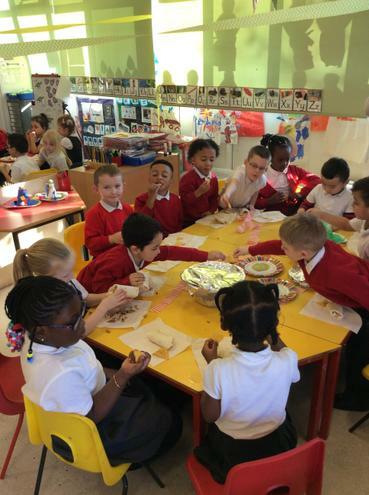 We have used our counting and adding skills and we have used our physical skills to mash supertato and the evil pea. 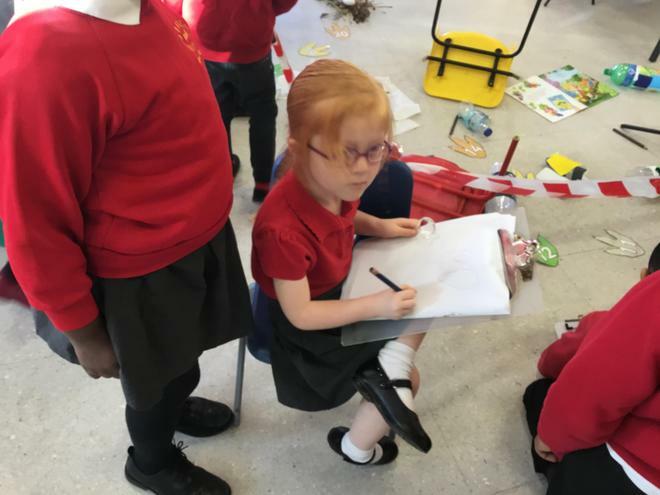 We have also used our phonics to complete fantastic pieces of writing all about Supertato. 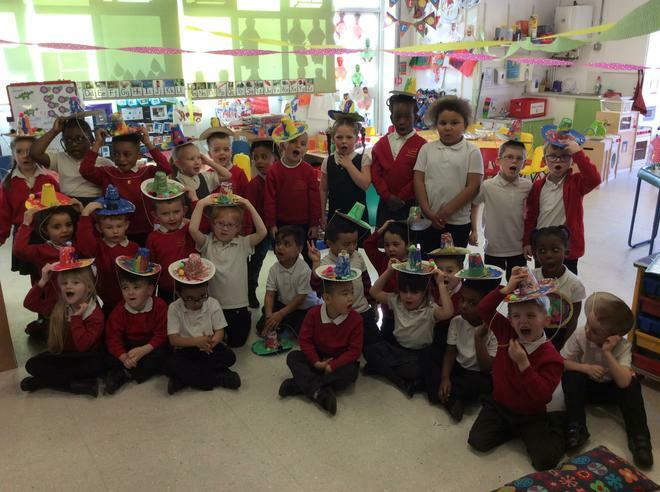 This week we have been learning all about Mexico. 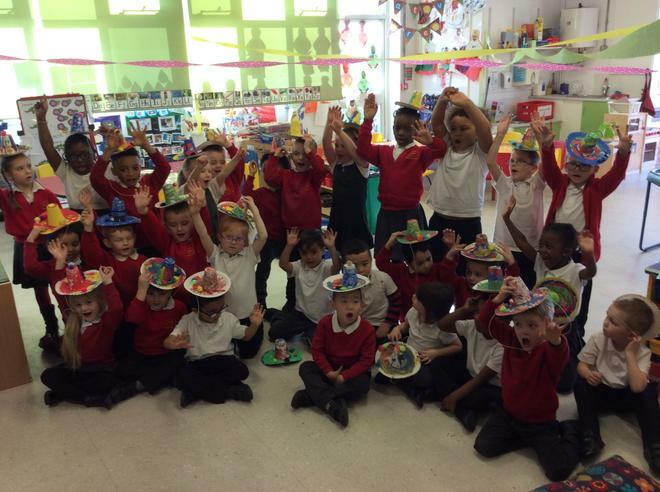 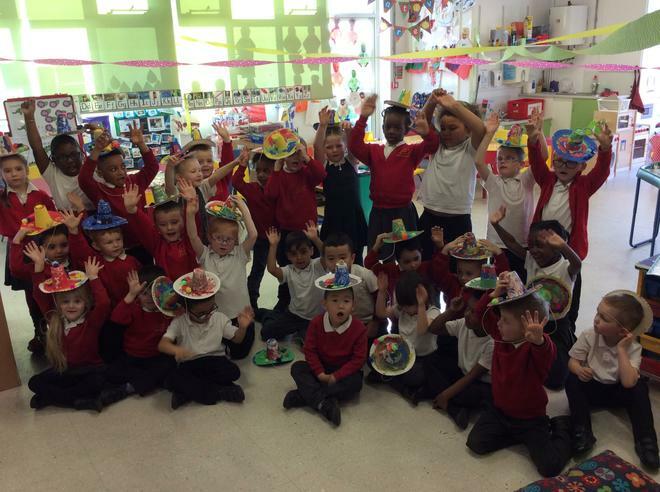 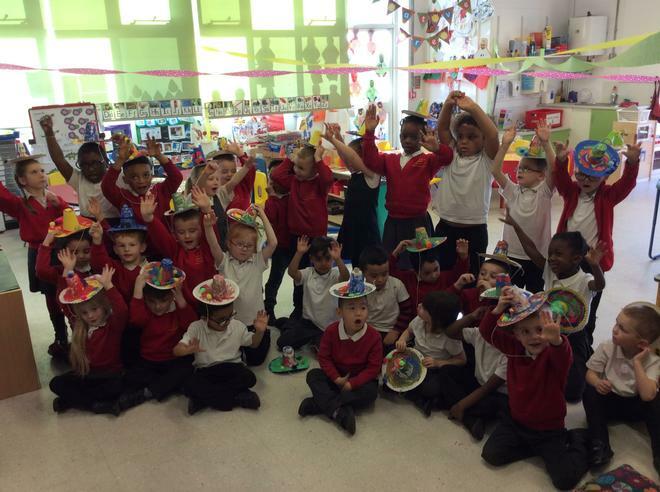 We have made sombreros and listened to Mexican music. 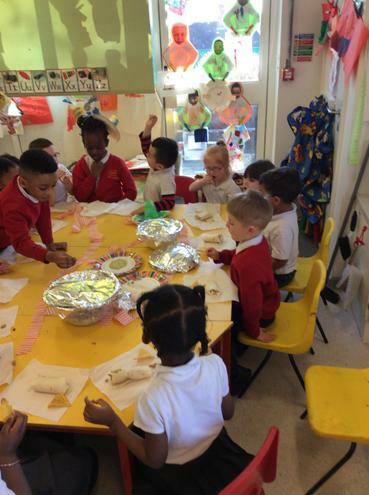 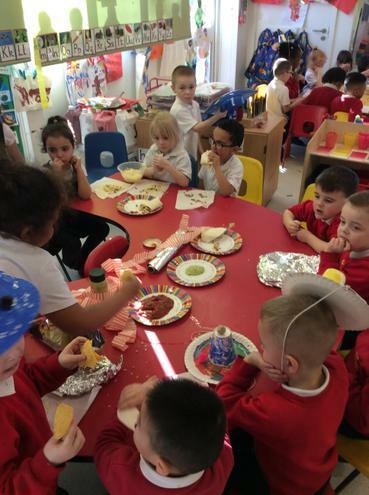 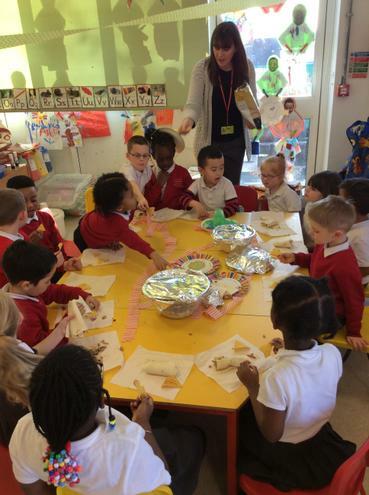 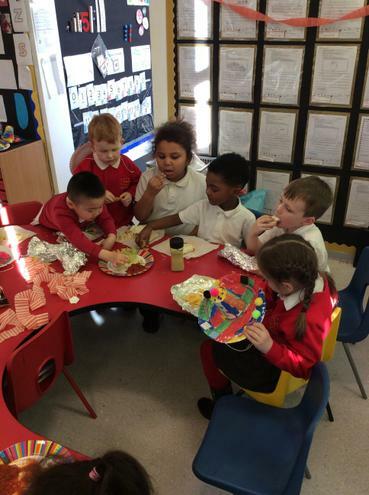 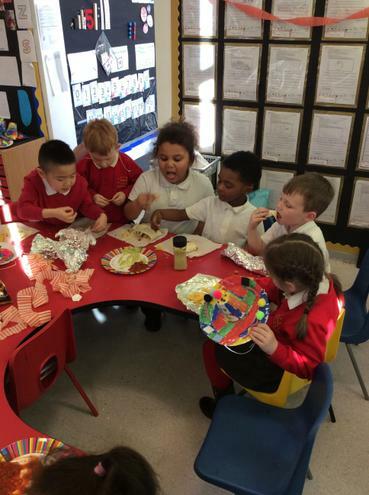 We used our understanding and listening skills to follow instructions to make burritos. 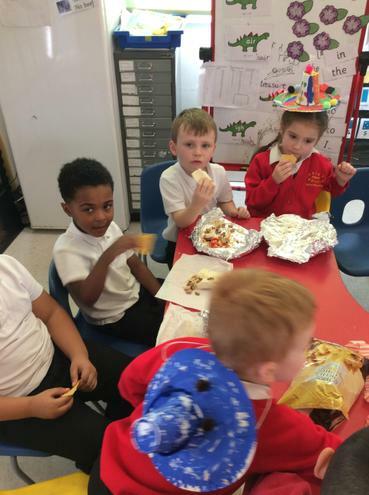 We have also tried nachos and salsa. 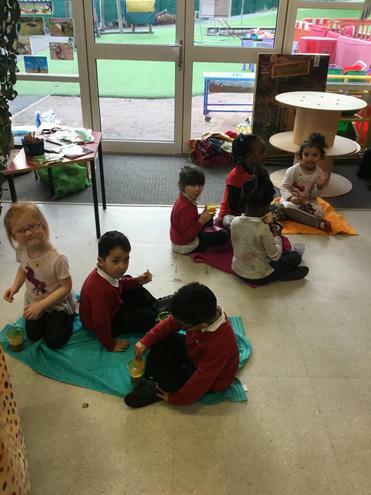 This week, in maths, F2 have been focusing on measuring. 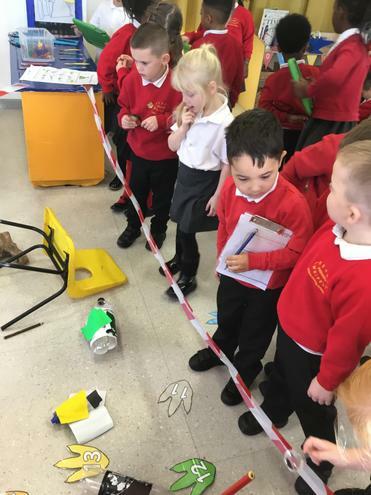 We know that when we measure we are finding out how long something is. 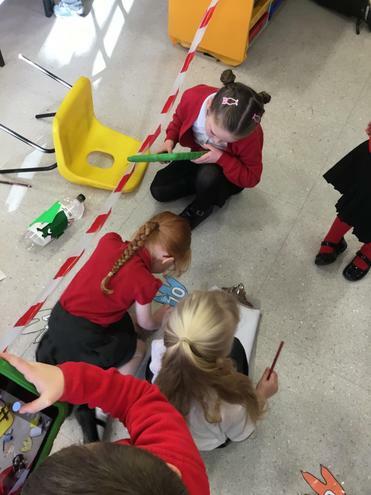 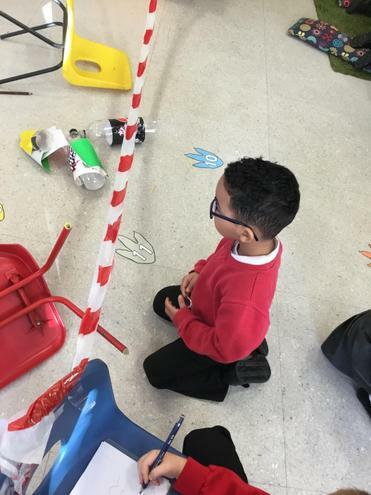 We have been measuring objects using cubes and we have been measuring the distance of a bean bag throw. 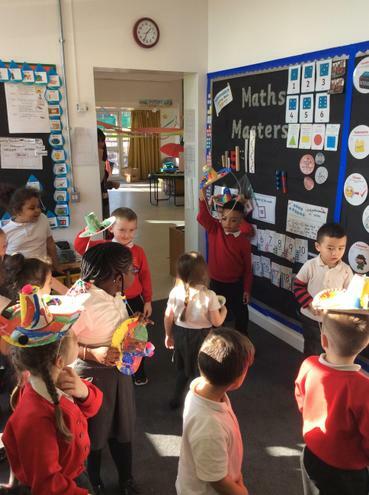 To celebrate the Chinese New Year, F2 have been making dancing dragons. 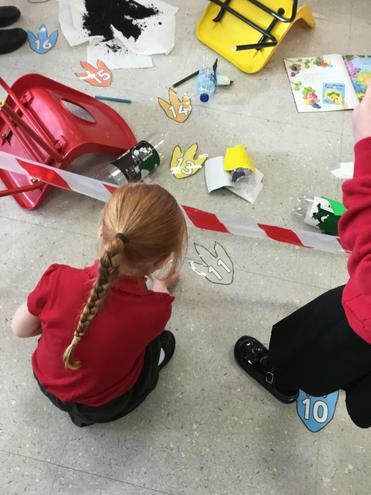 The children had to use their cutting, colouring and folding skills to create these wonderful dragons. 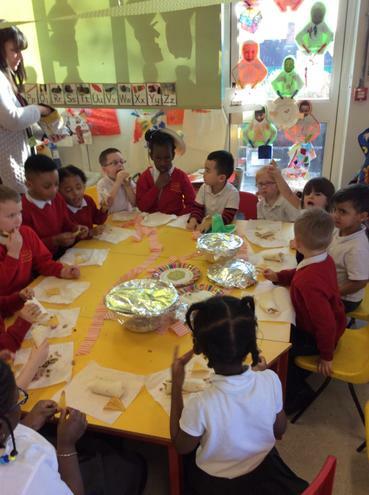 Today our learning has all been based on money. 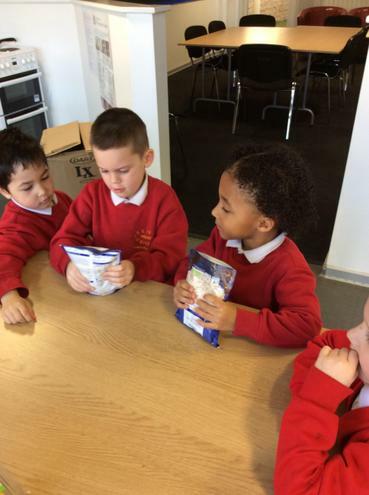 We looked at what coins we have and how many we would need to buy different items from the shop. 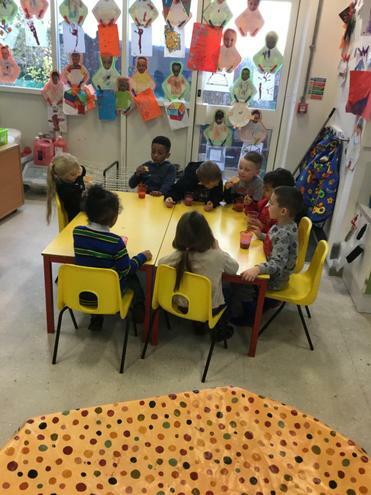 In our classroom we have fruit which are all different amounts. 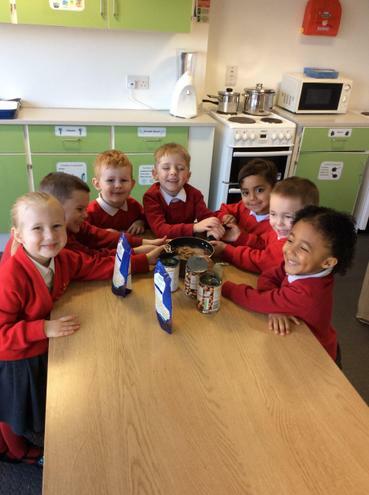 The children discussed how much they were and which coins they needed to use to buy them. 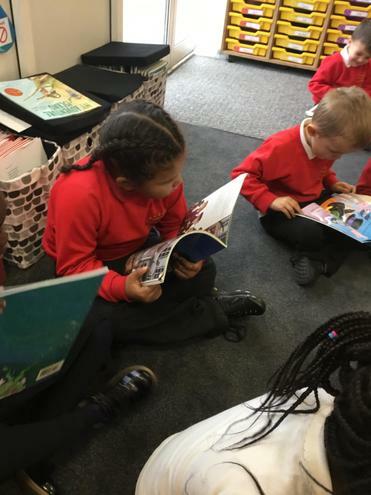 Then a group of children visited our local shop with Mrs Lewis and Miss Buckley. 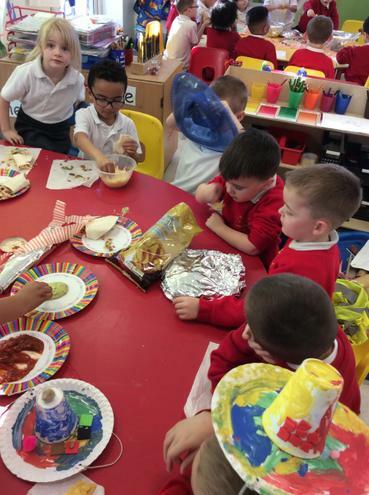 We needed to buy three items; pasta, cheese and chopped tomatoes. 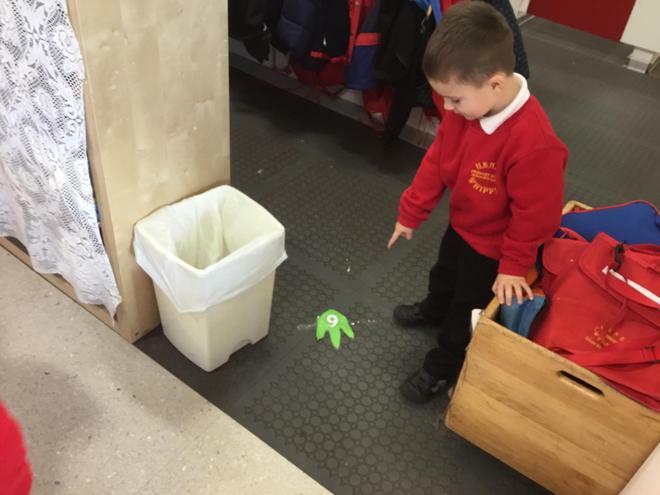 The children gave the shop keeper five coins because the total amount was £4.70. 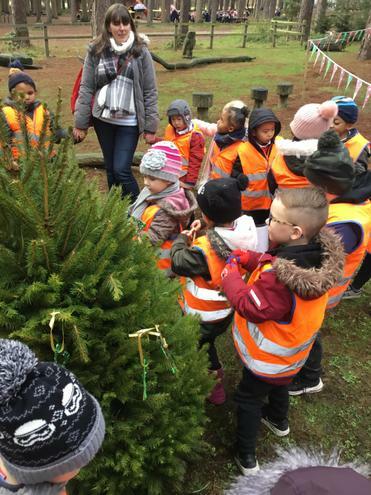 In the next few weeks there will be two more groups of children who will be visiting the shop. 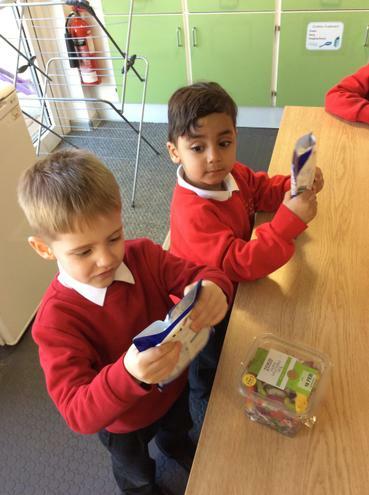 In maths we have been learning all about subtraction. 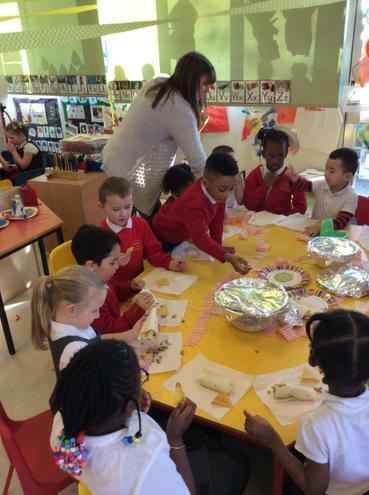 We know that subtraction means take away. 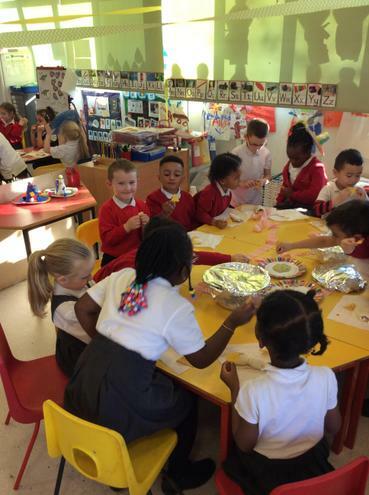 We have used lots of different resources to help us learn about subtraction such as counters and beads. 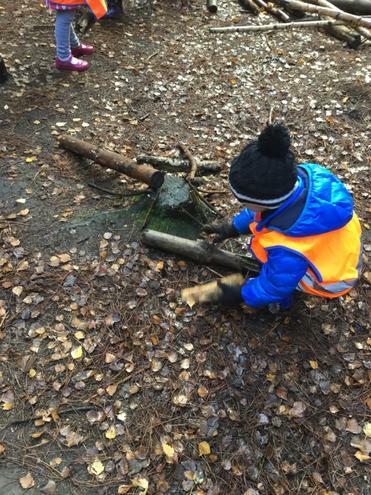 Today we used chalk. 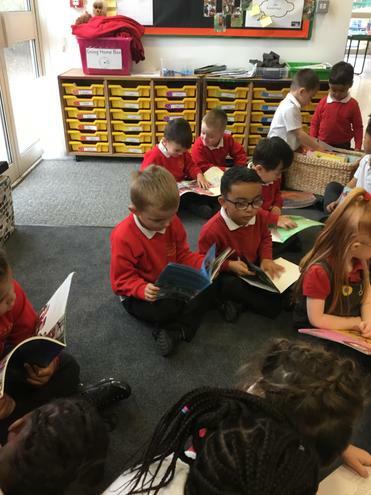 We know that we need to draw the first number in the number sentence and then takeaway the second number. 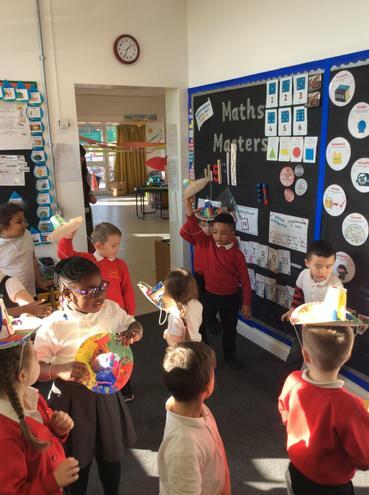 For example, if our number problem is 5 - 2. 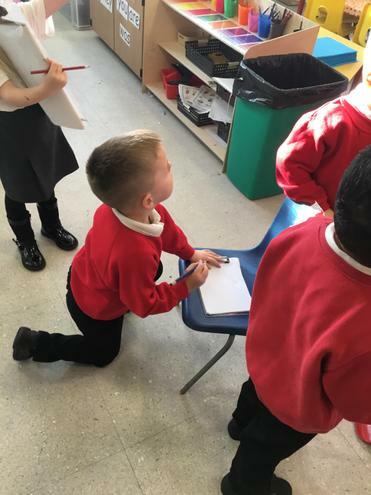 We can draw 5 circles and then cross out 2. 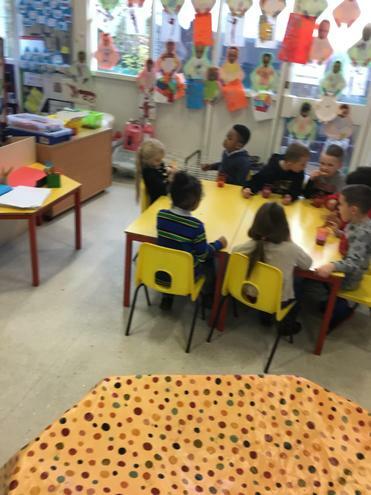 The amount we have left is our answer. 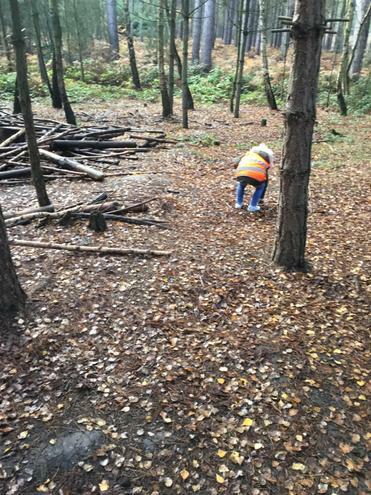 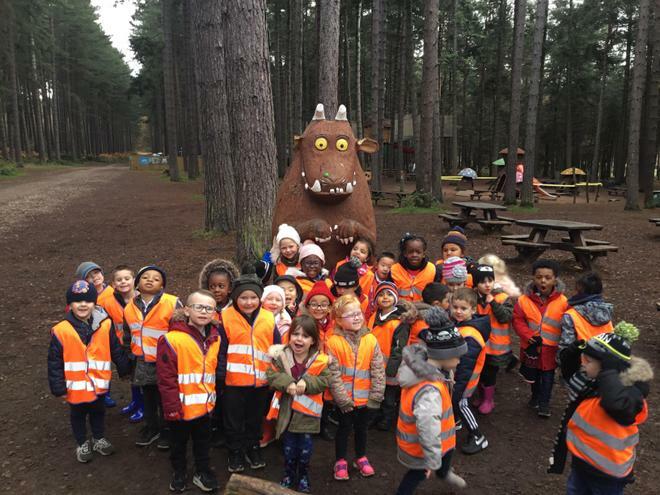 Learning Away at Sherwood Pines! 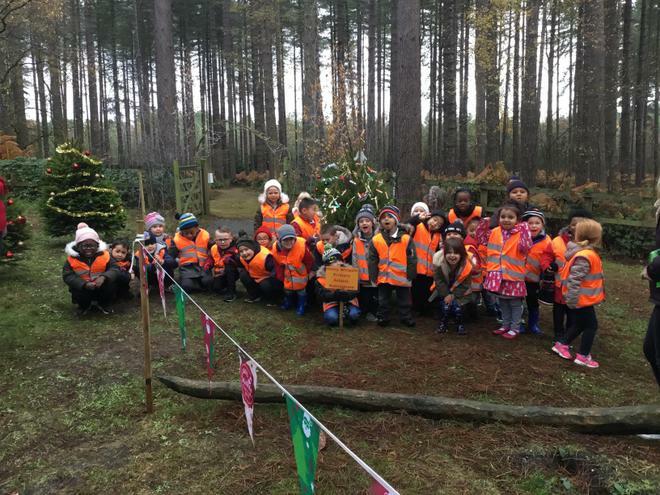 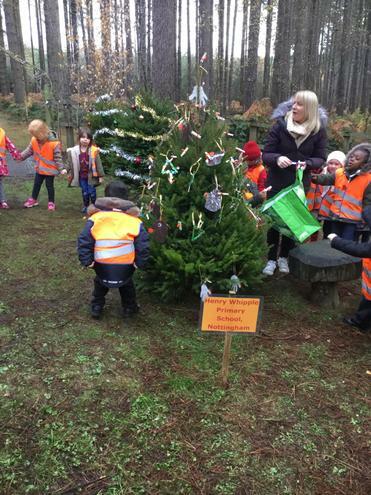 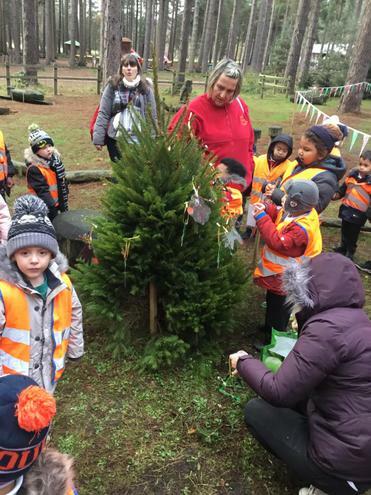 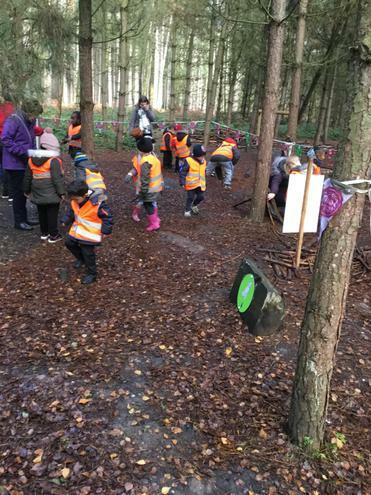 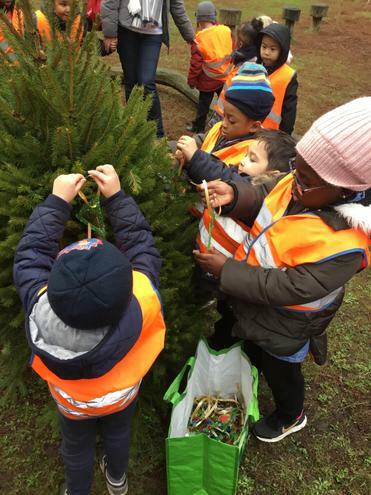 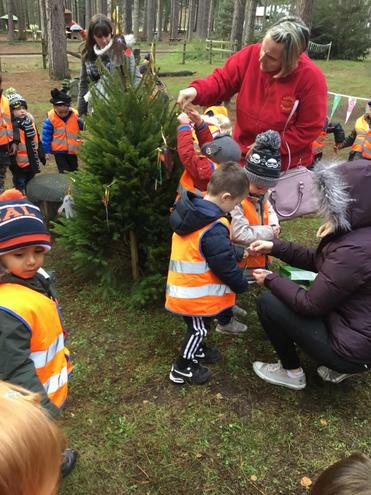 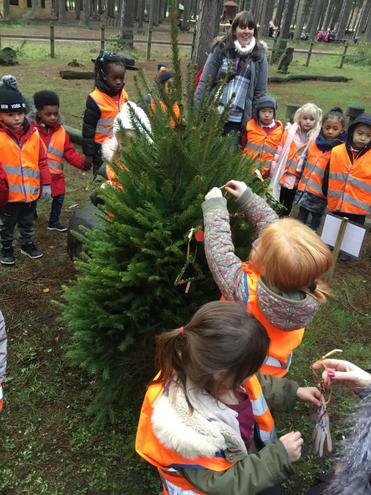 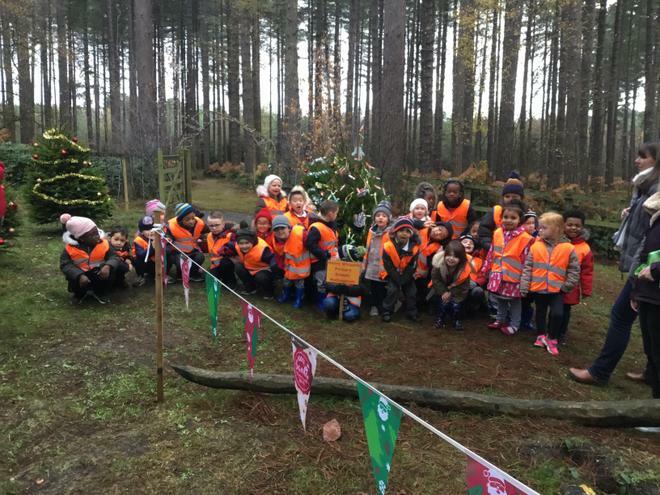 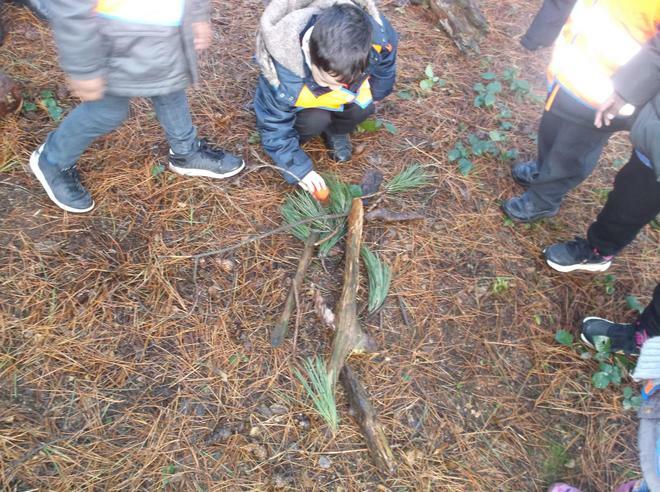 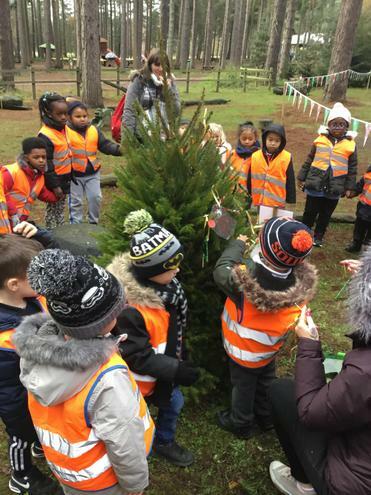 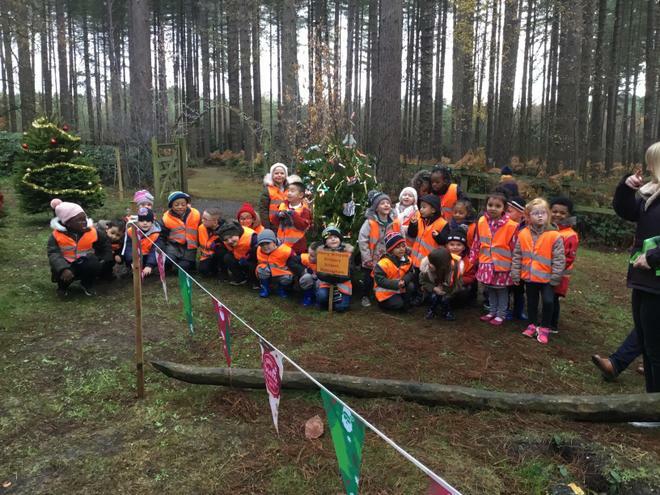 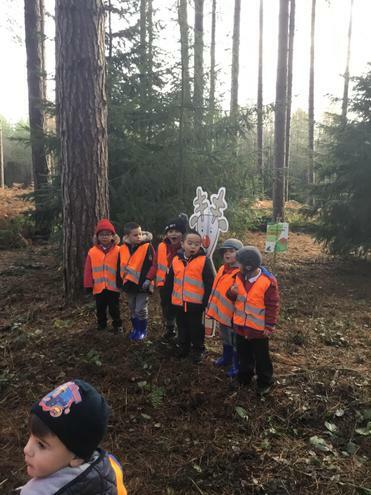 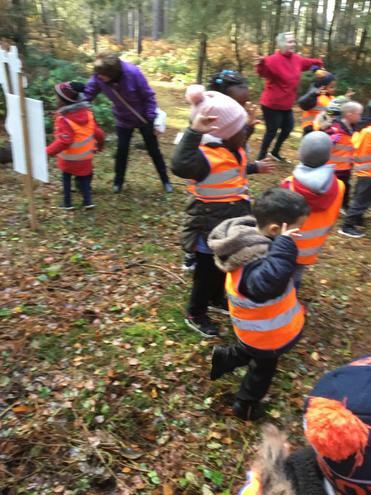 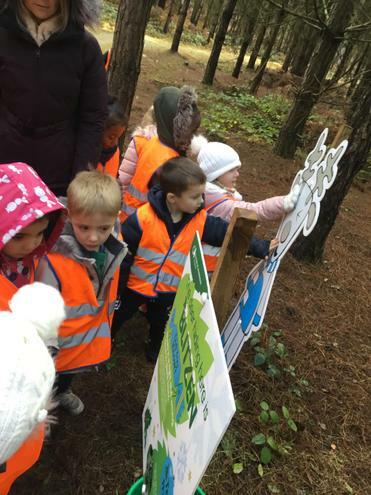 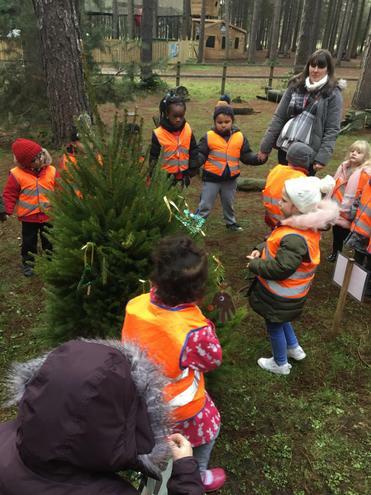 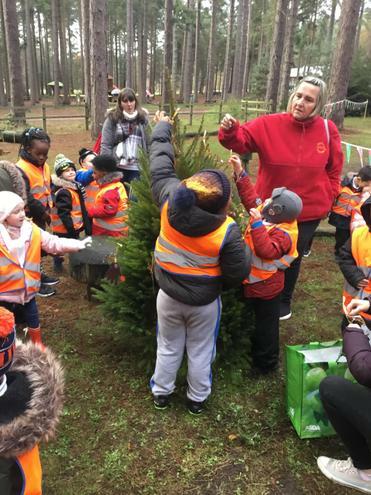 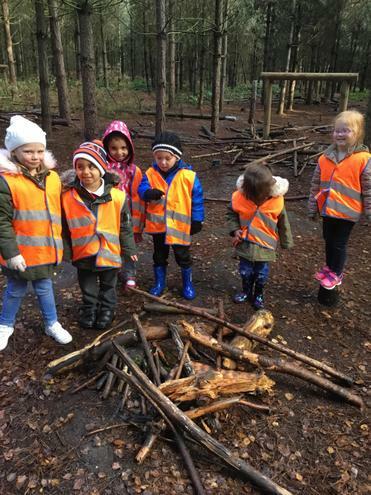 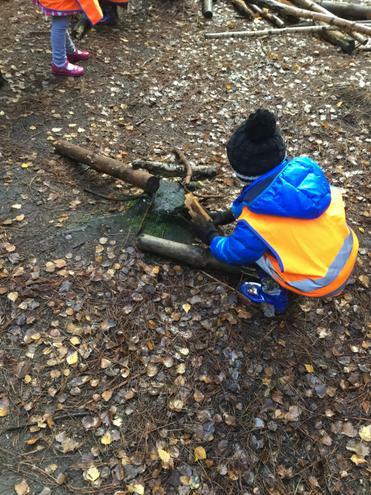 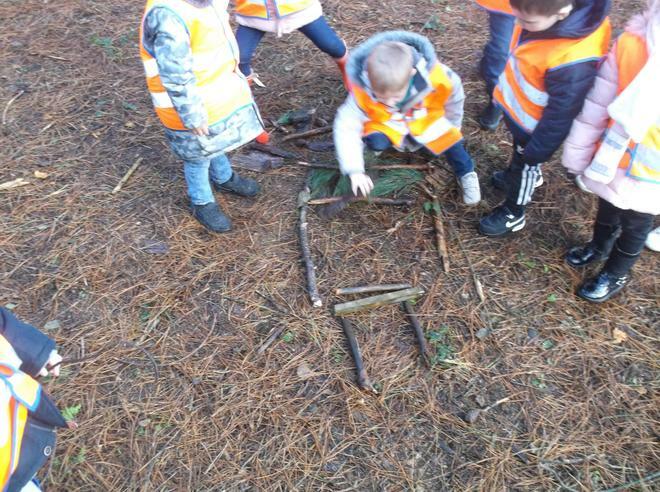 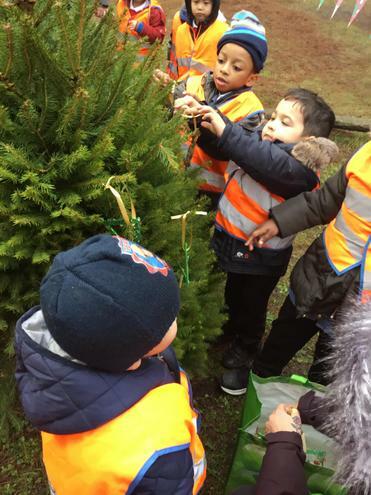 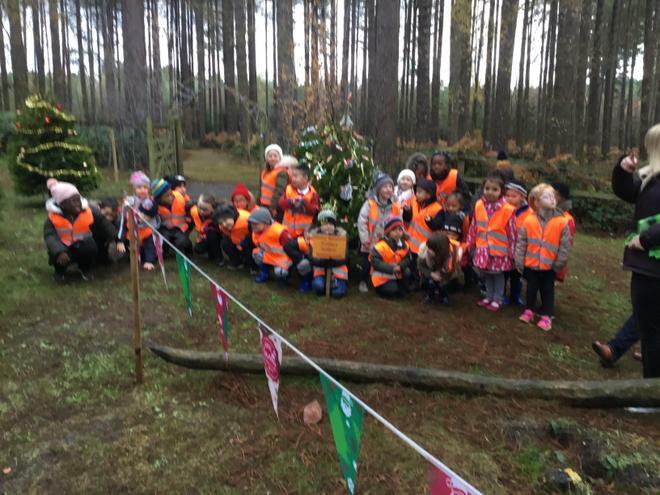 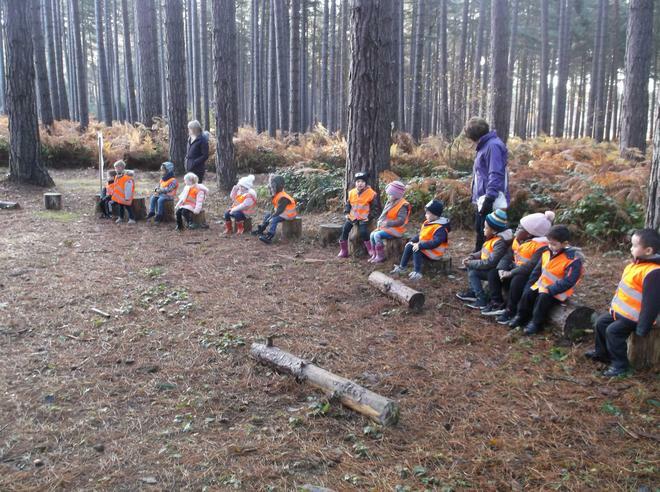 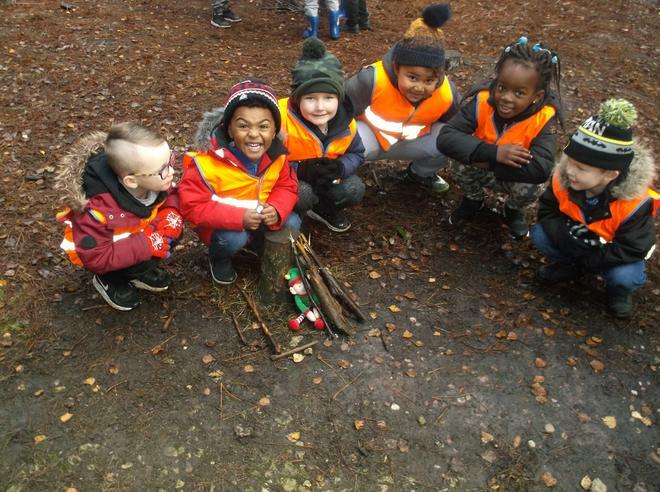 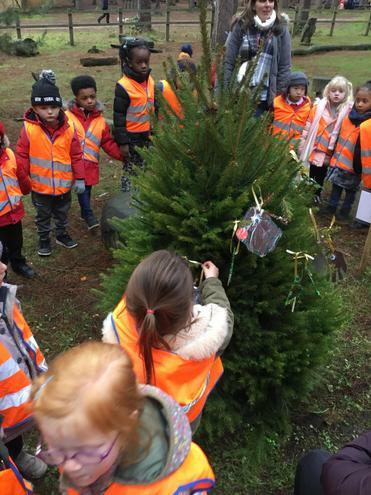 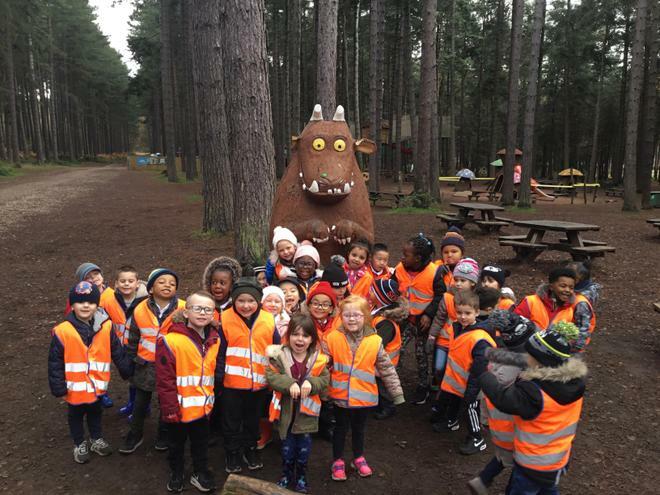 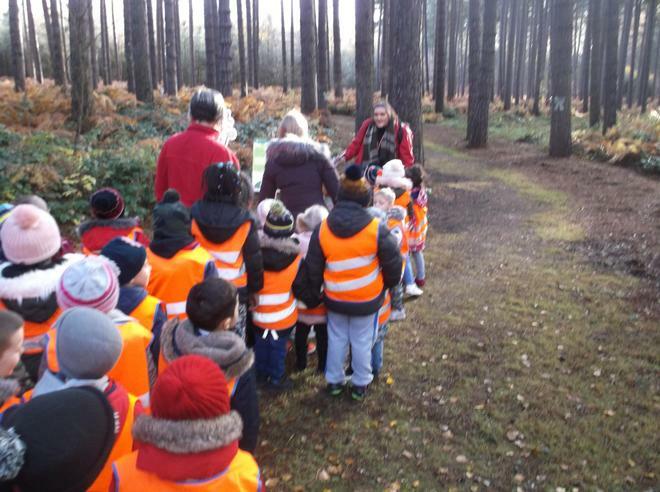 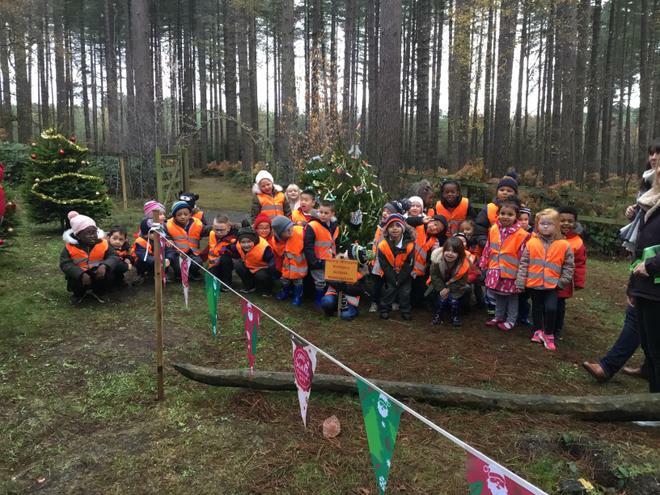 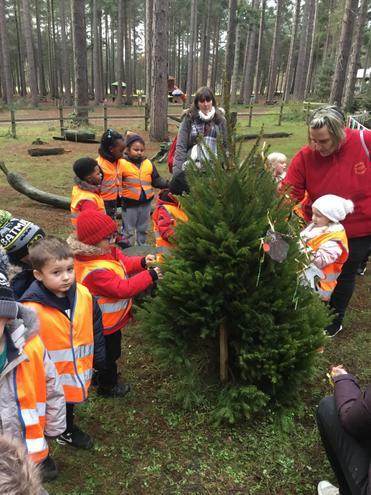 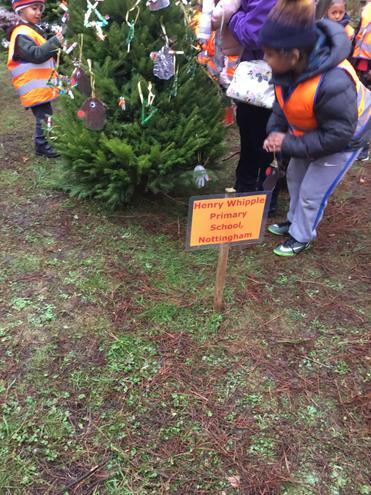 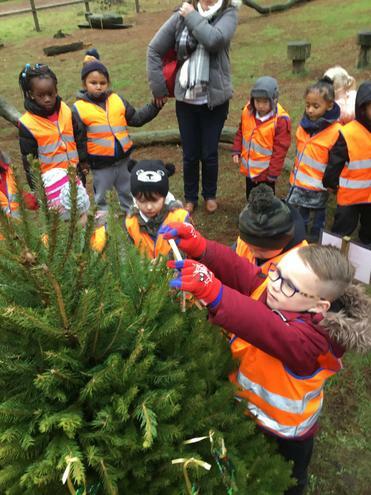 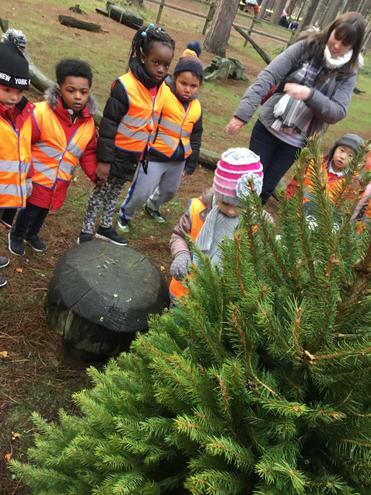 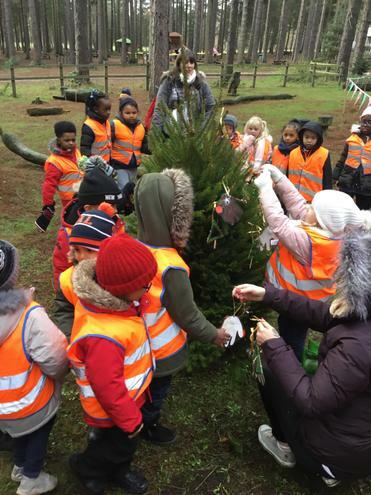 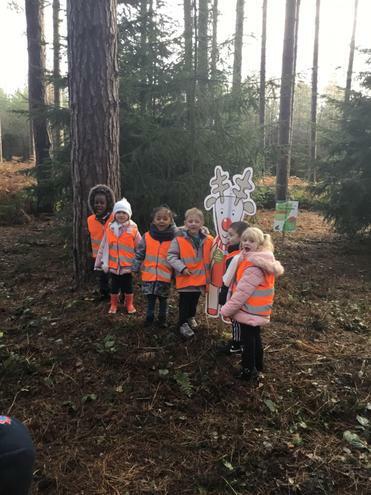 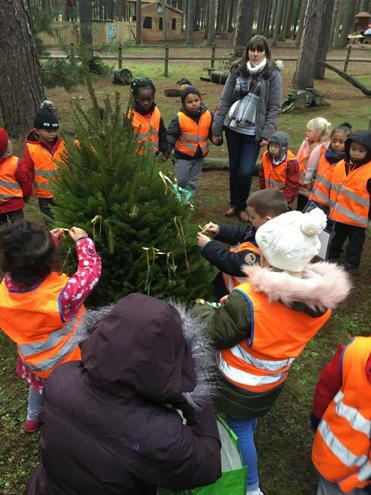 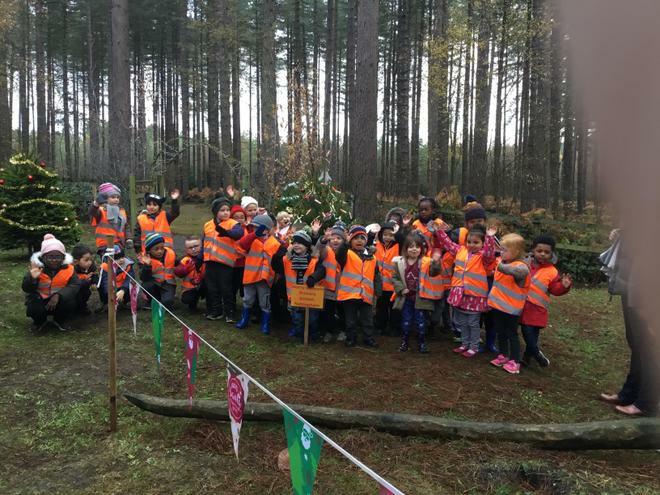 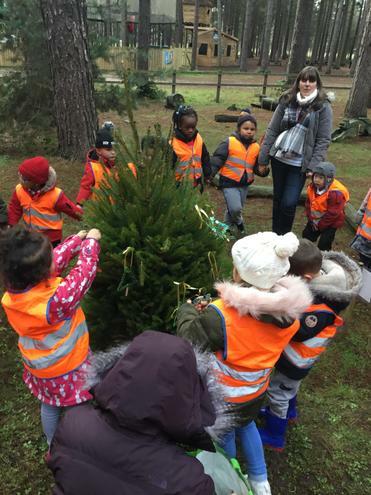 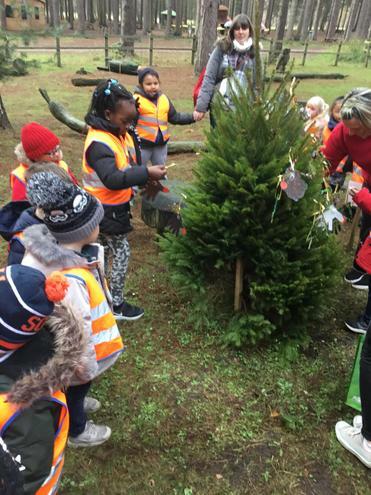 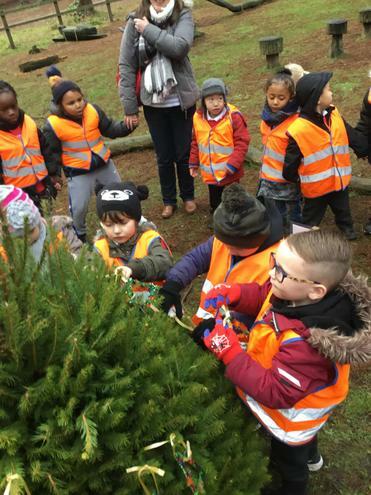 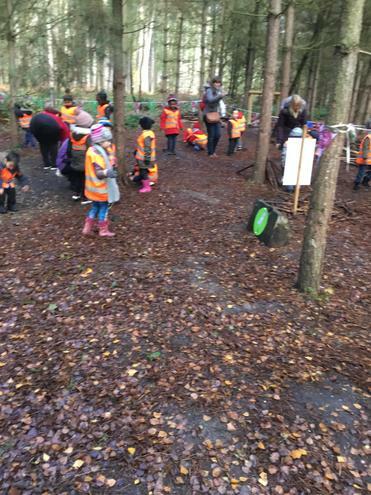 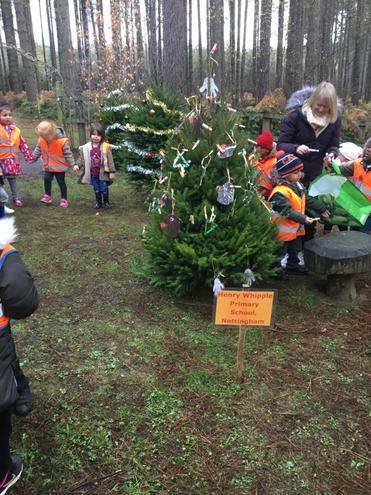 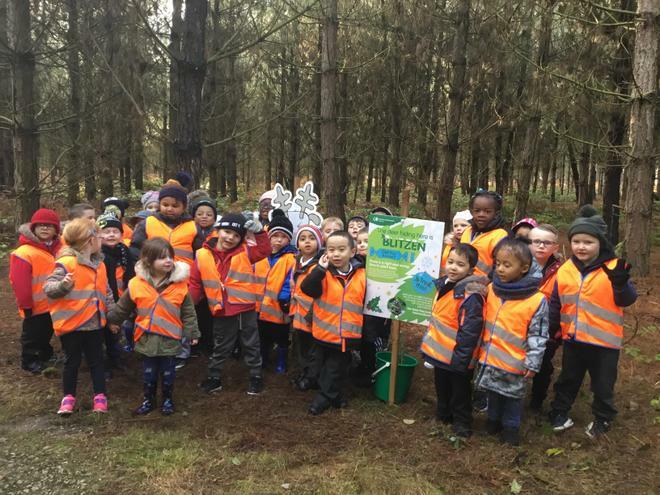 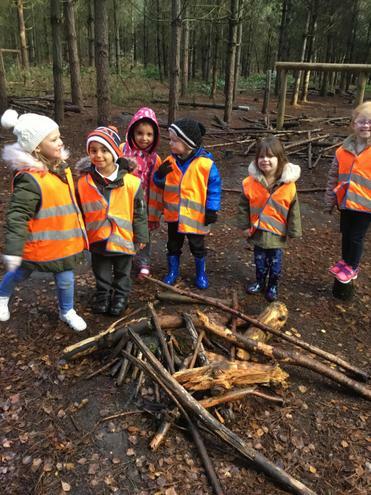 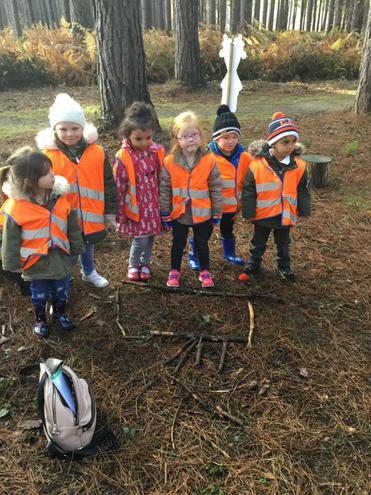 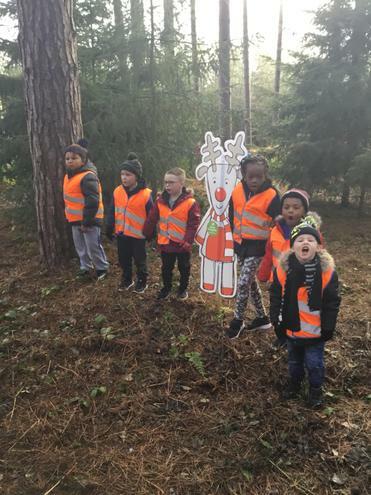 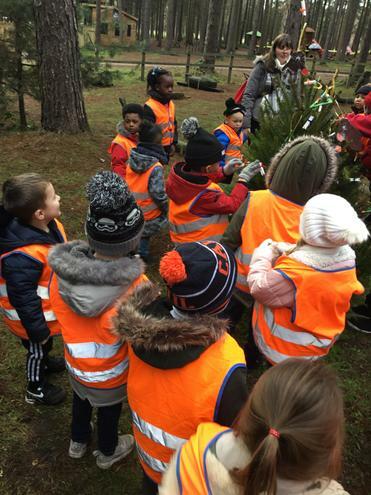 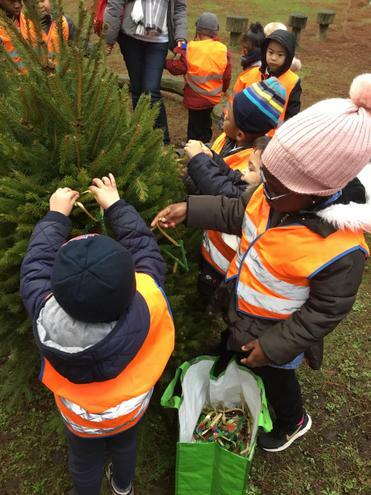 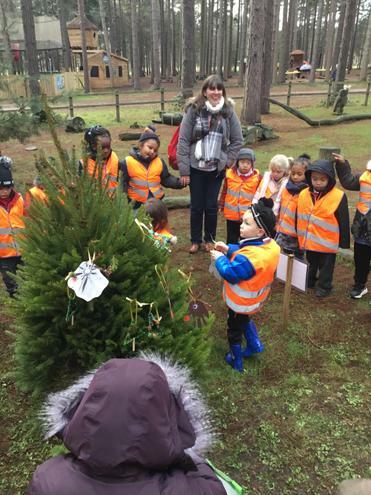 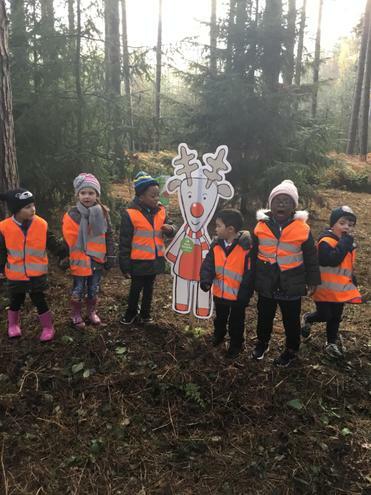 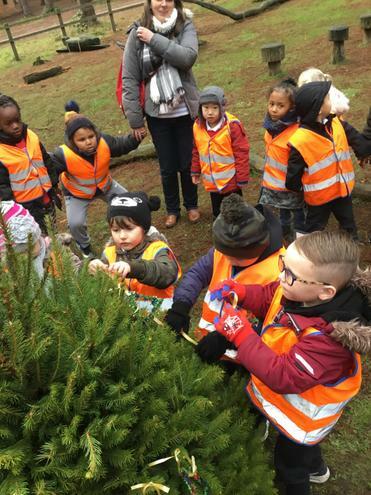 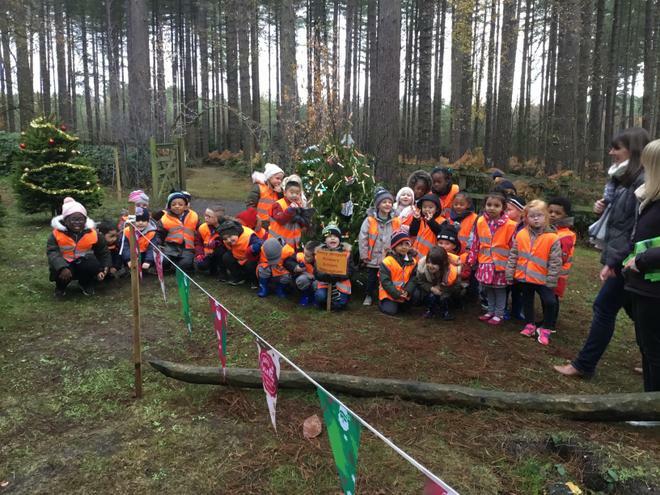 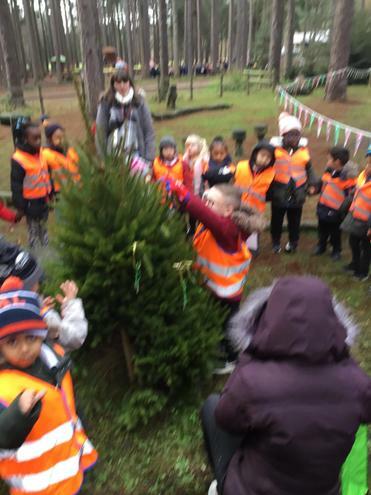 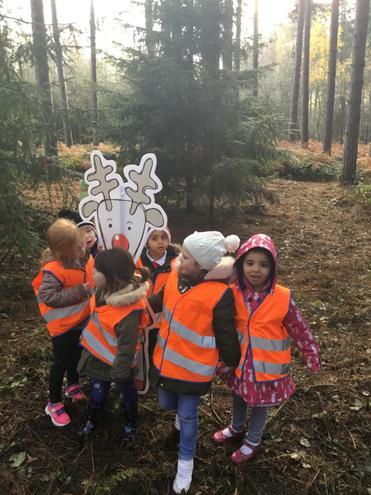 F2 have done some amazing learning at Sherwood Pines. 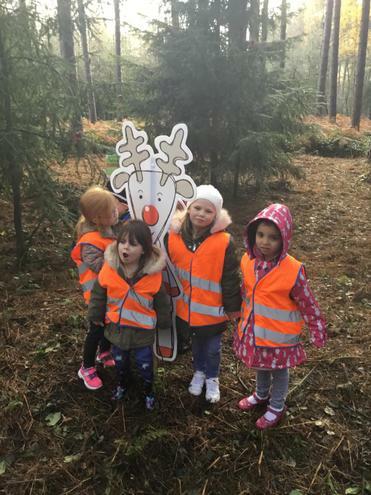 We went on a special trail where we met lots of reindeer. 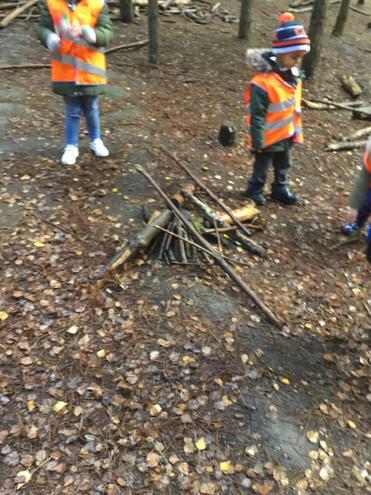 Along the way we had challenges to do. 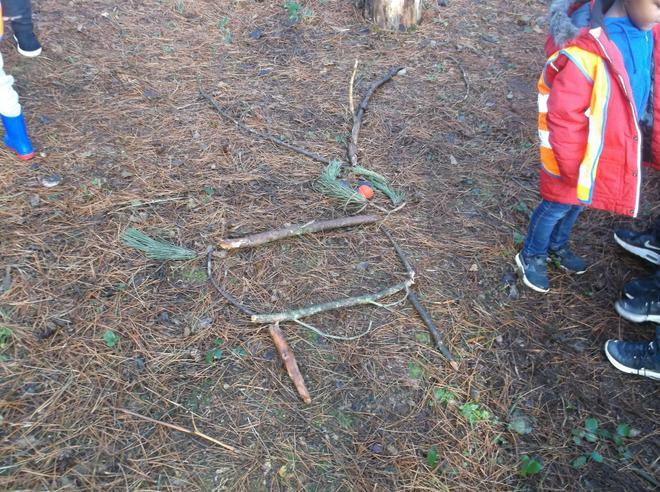 We have to create some floor art of a reindeer and we got a red nose to finish the picture off! 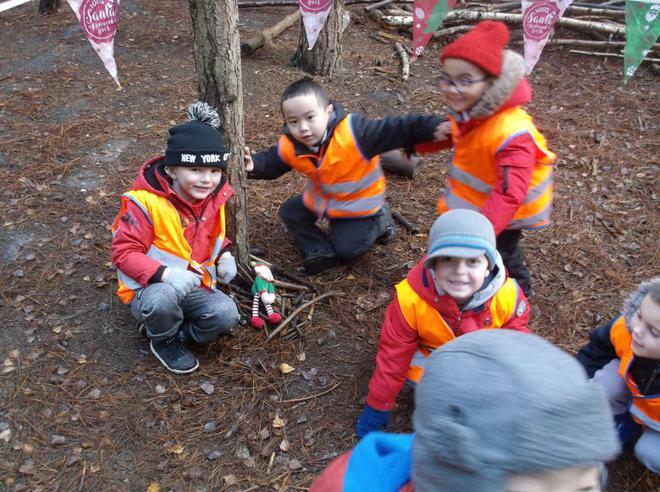 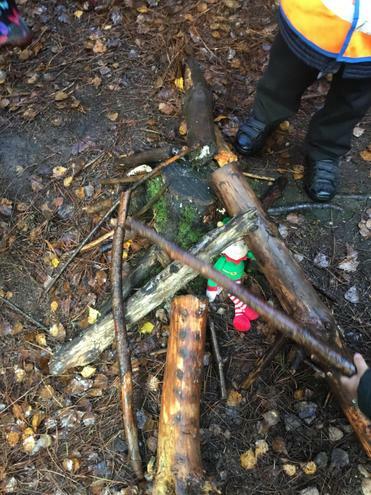 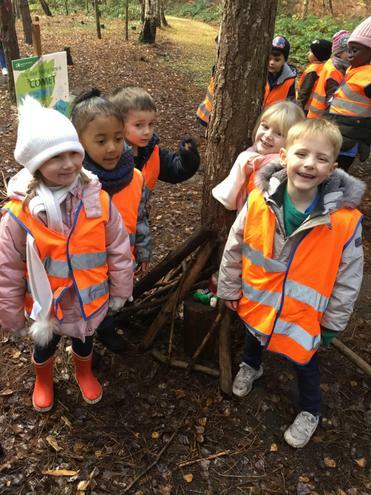 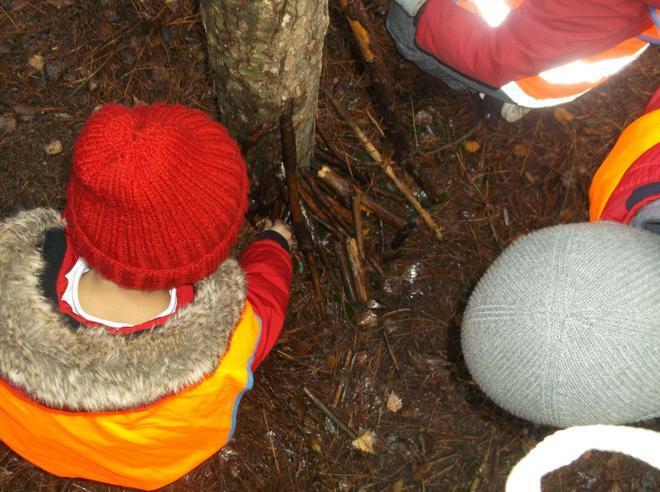 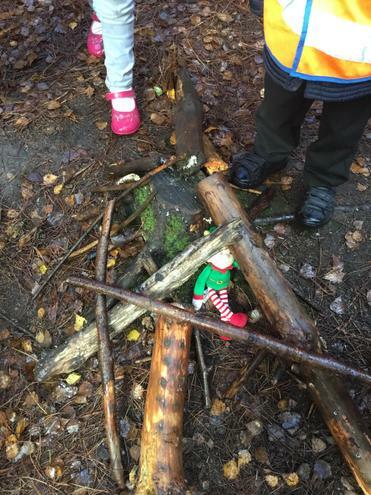 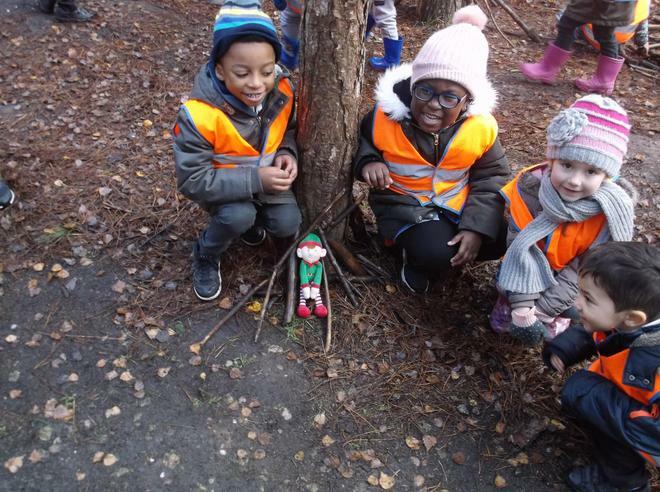 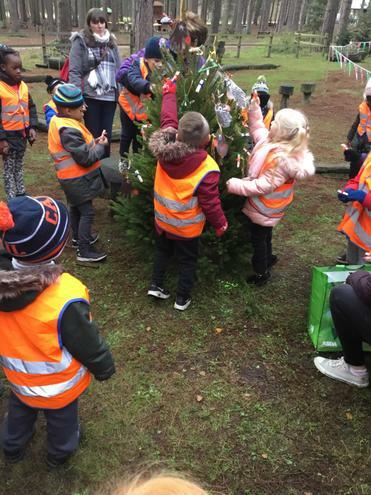 We also had to create a shelter for some little elves using branches and leaves. 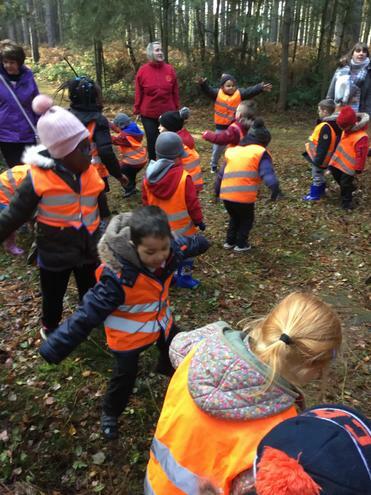 We then had to do some exercises along the way, such as prancing like a reindeer and swirling like star. 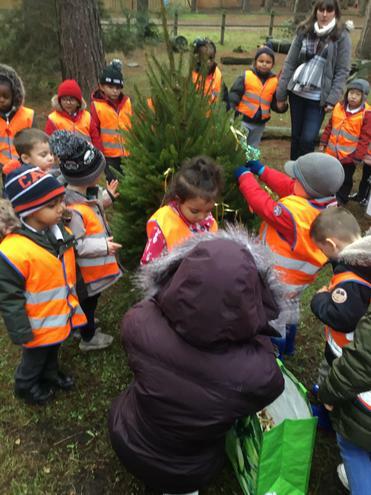 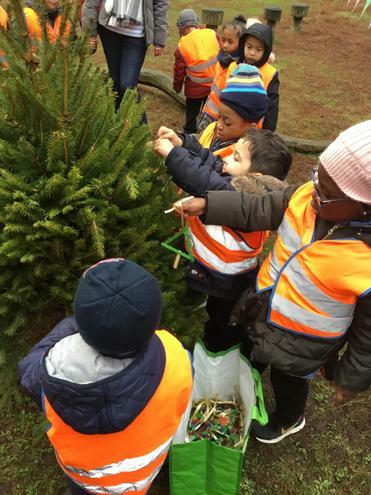 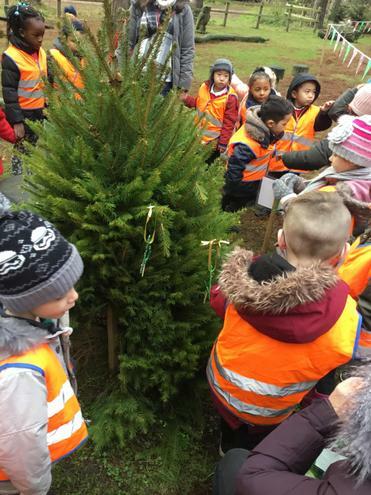 After this we decorated a Christmas tree with things we made ourselves at school. 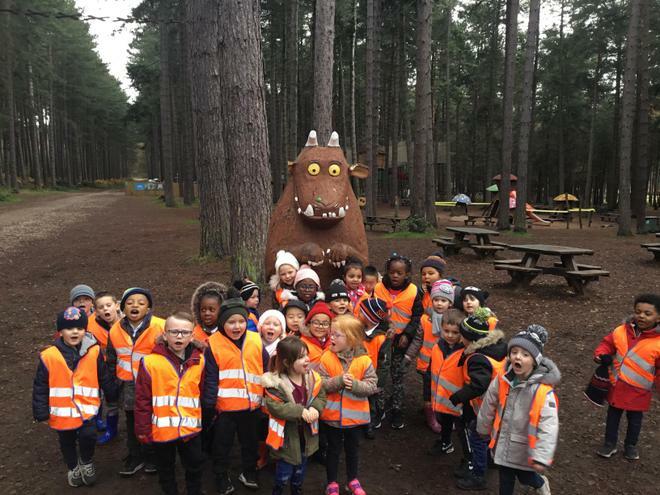 We then finished off the day by meeting someone a bit scary - THE GRUFFALO! 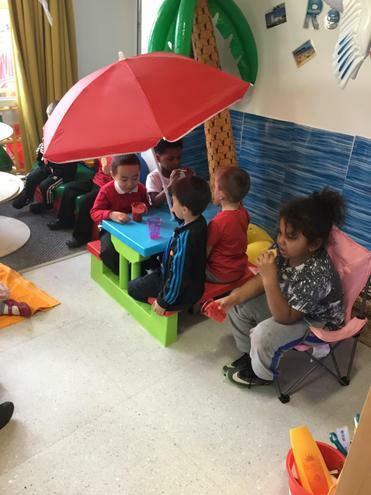 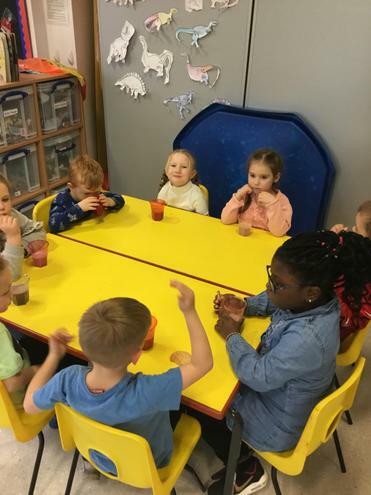 Back at school we had a warm hot chocolate and talked about all the things we had seen. 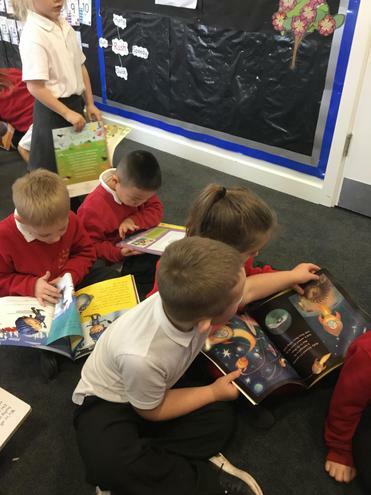 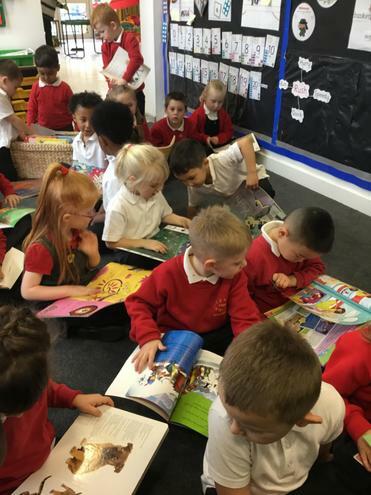 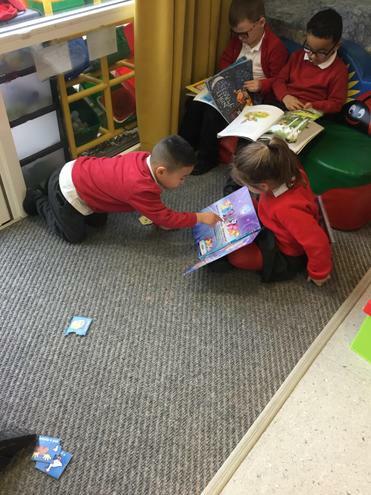 There has been lots of fantastic independent reading happening in F2! 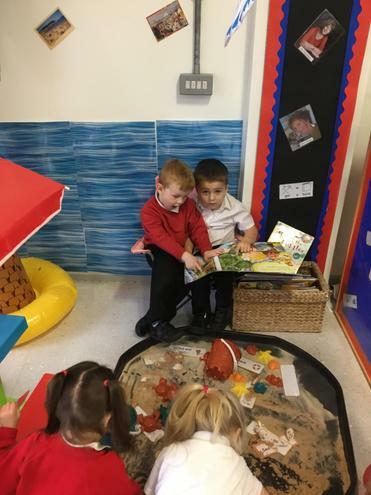 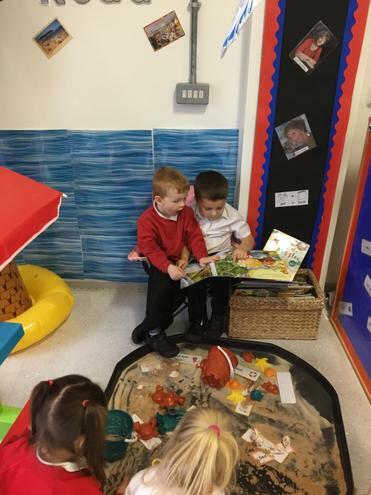 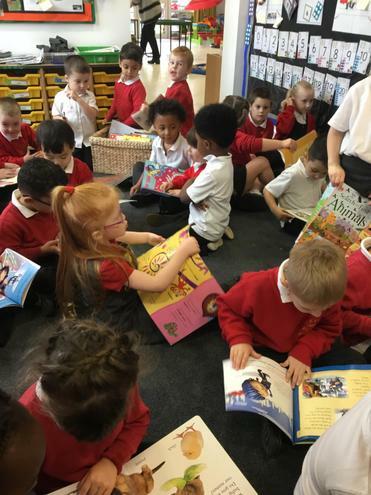 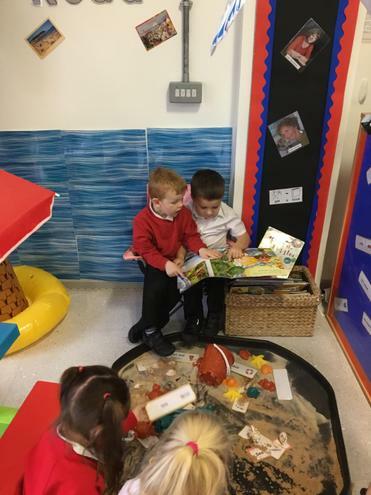 The children have enjoyed choosing a book and sharing it with a friend. 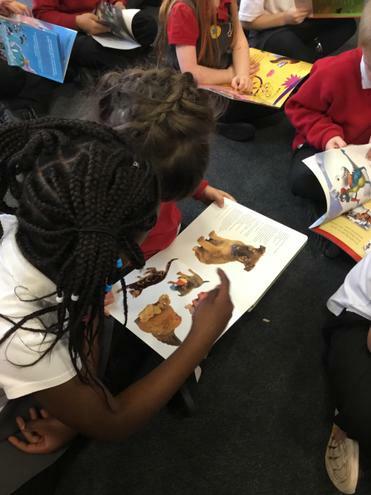 Some of our favourite books at the moment are our class reader, How to Grow a Dinosaur, The Gruffalo and Funny Bones. 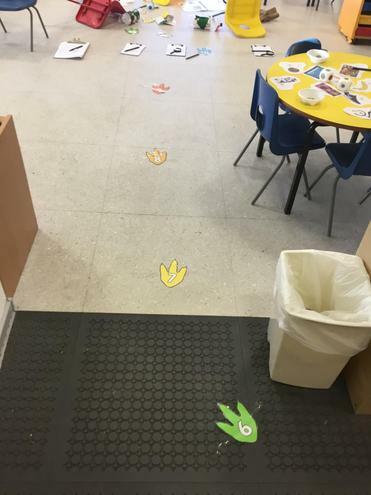 The eggs that the T-Rex left in our classroom have hatched. 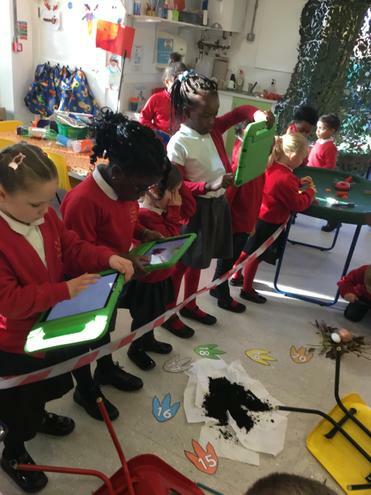 We explored the eggs to see what they felt, smelt and looked like, before adding water to help them hatch. 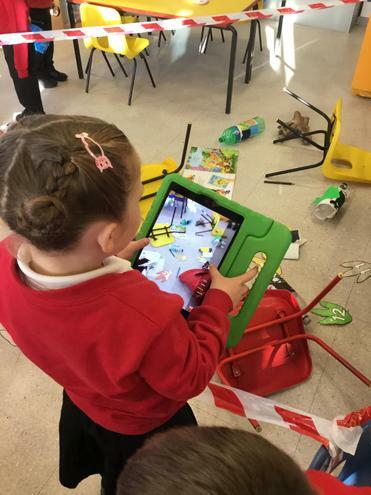 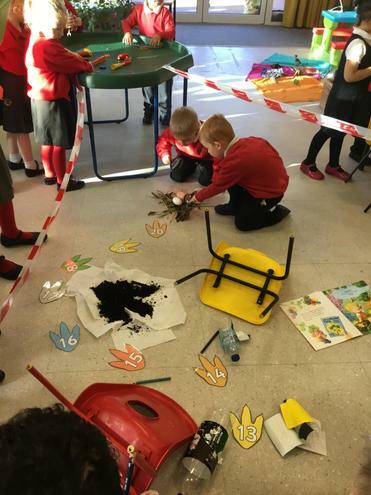 What has happened to our classroom?! 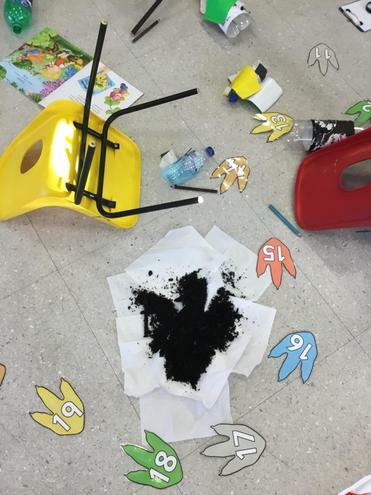 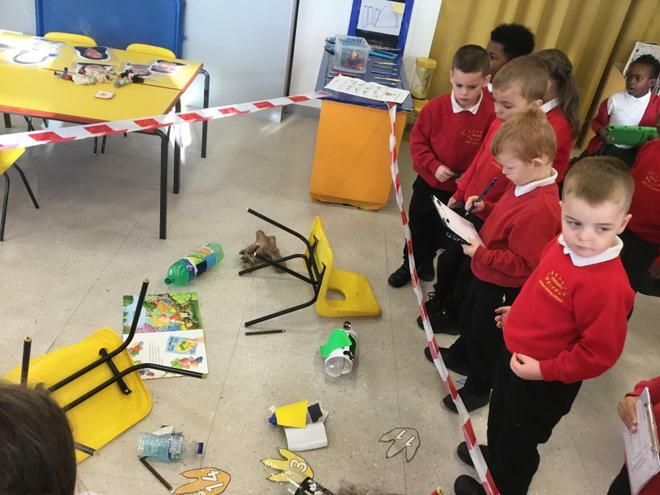 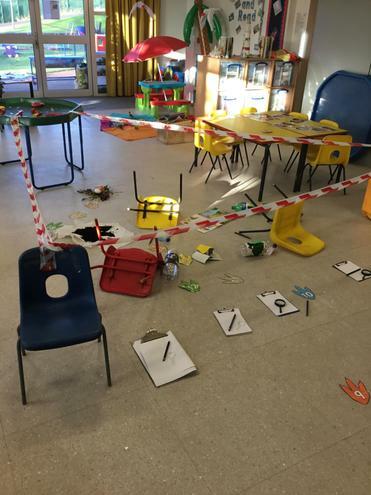 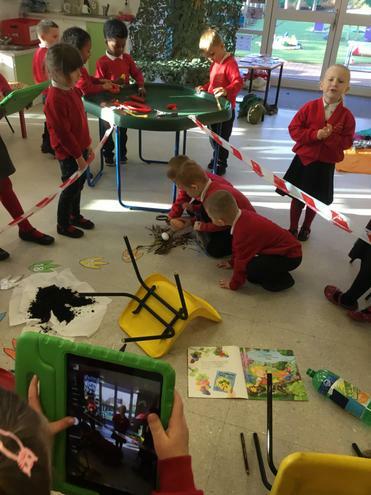 Something has happened to our classroom! 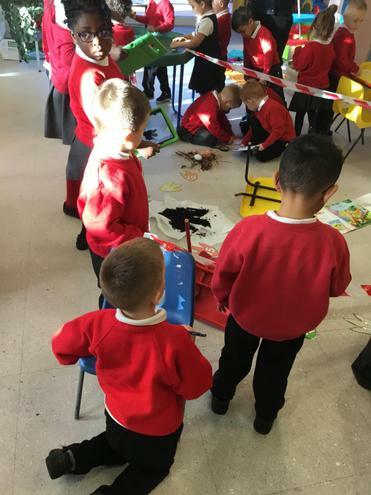 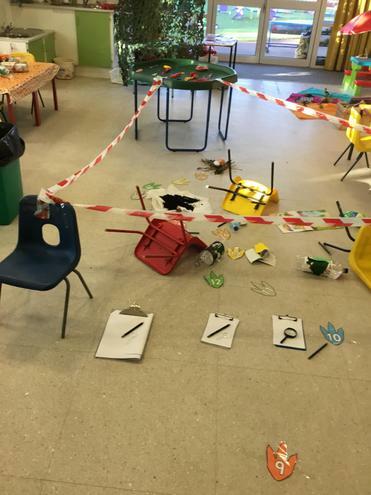 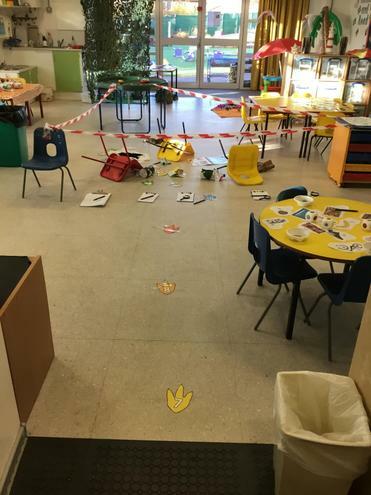 We came back to school after the weekend and there is a huge mess! 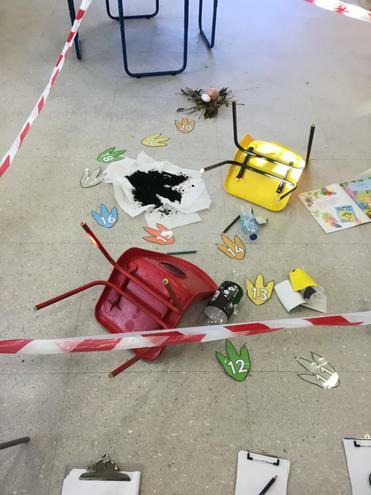 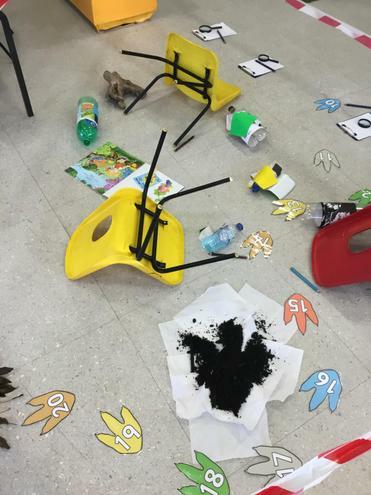 Whoever it was has knocked over the chairs, left footprints, read the book "how to grow a dinosaur" and has laid 2 eggs. 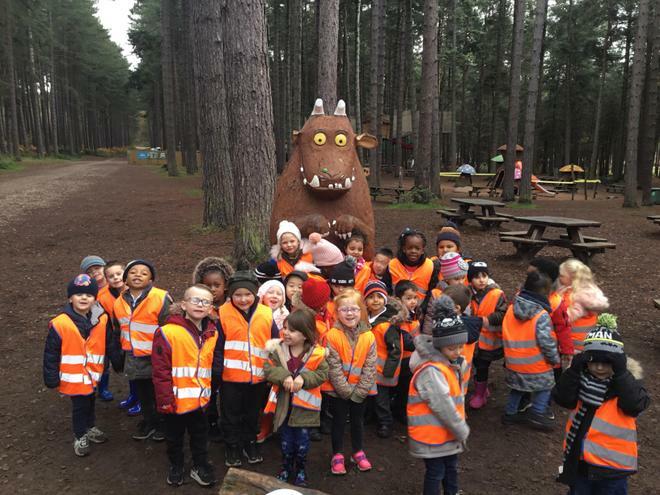 Some of us think in it could be a monster, some of think it could be a dinosaur! 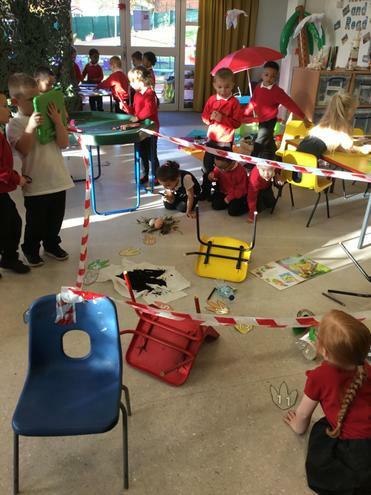 Hopefully we will get more clues throughout the week to help us figure out what happened! 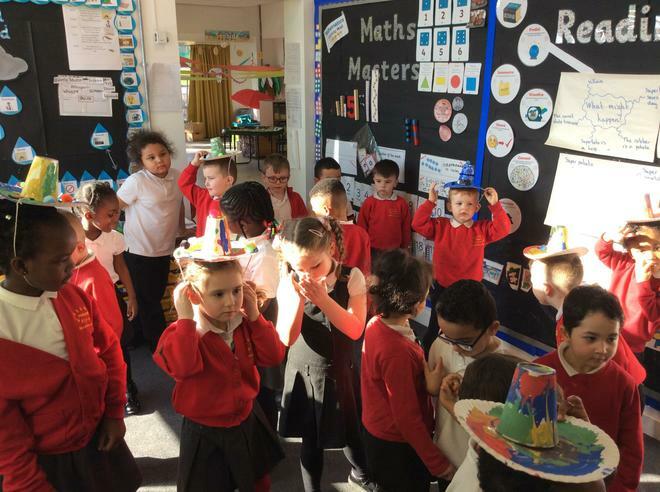 F2 have been learning all about money in maths this week. 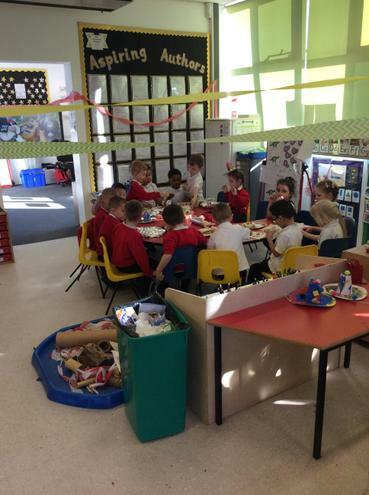 The children can recognise and use 1p, 2p, 5p and 10p. 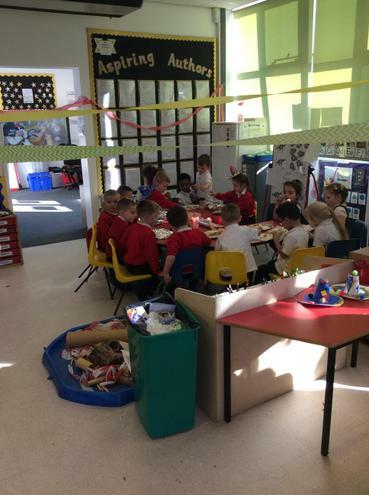 Foundation 2 have been very busy! 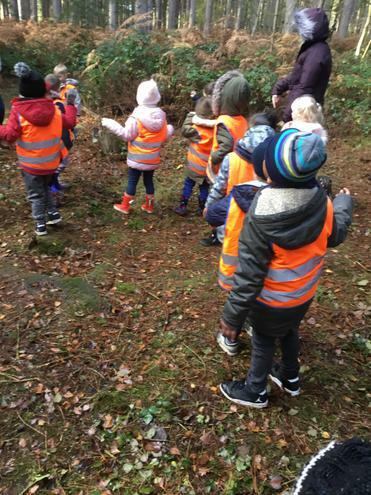 Last week we read the story We're Going on a Bear Hunt. 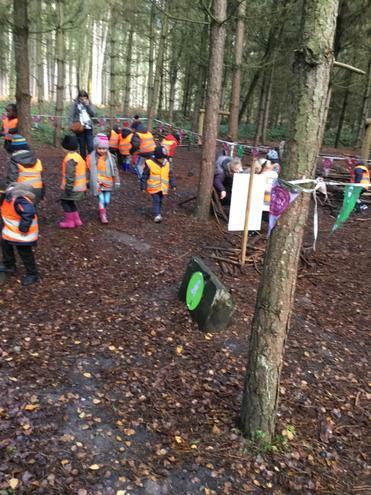 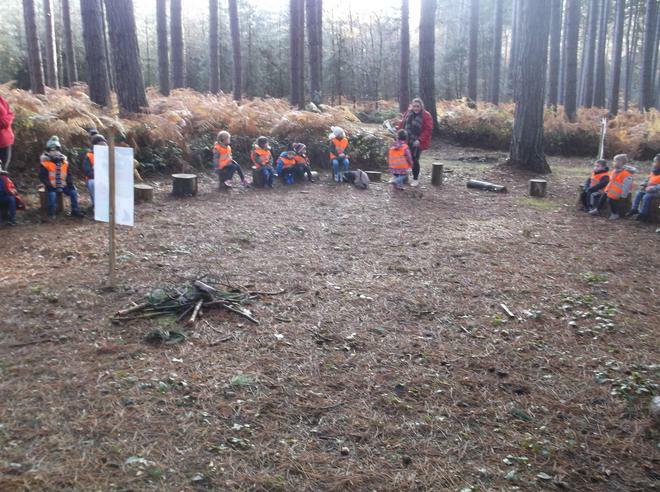 We made our own maps and then went out on our very own bear hunt.... it was so much fun and maybe a little scary!